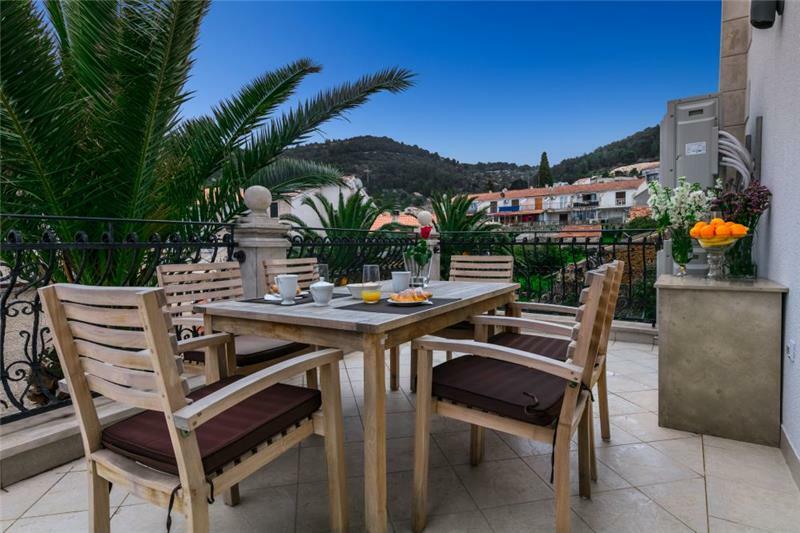 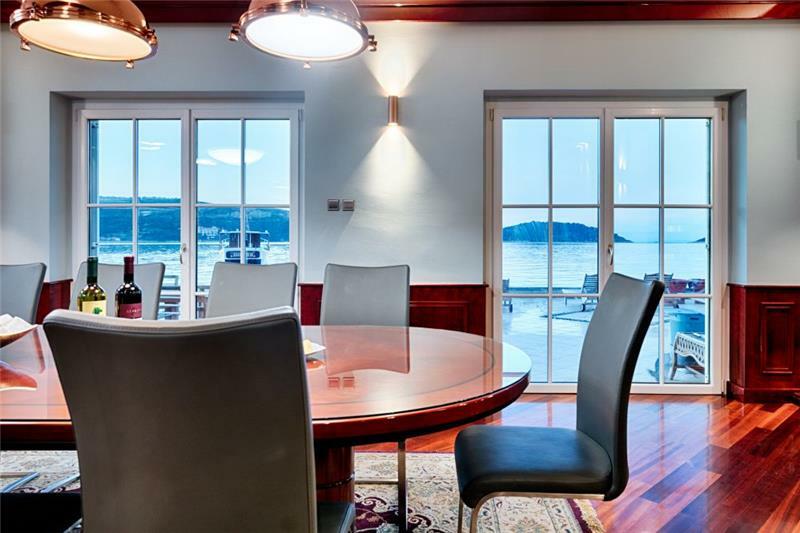 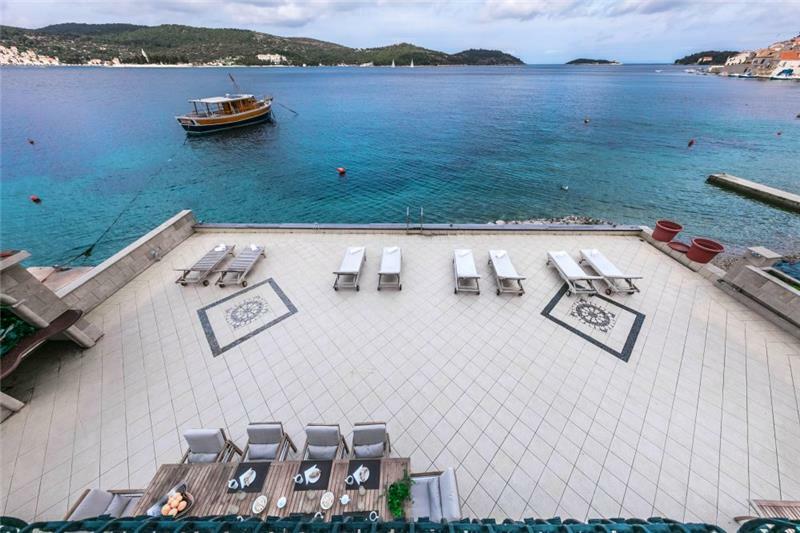 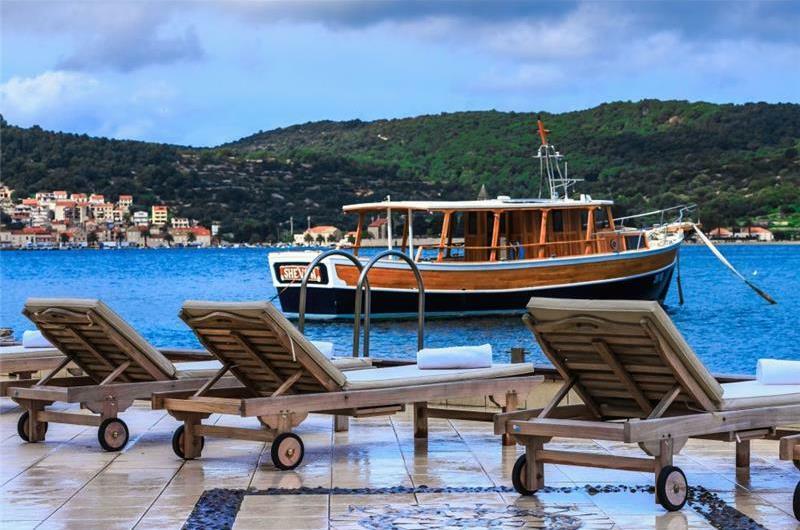 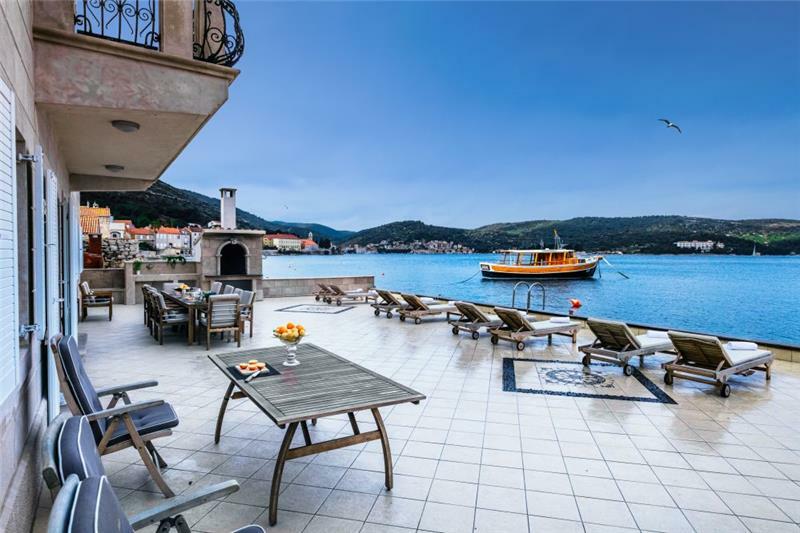 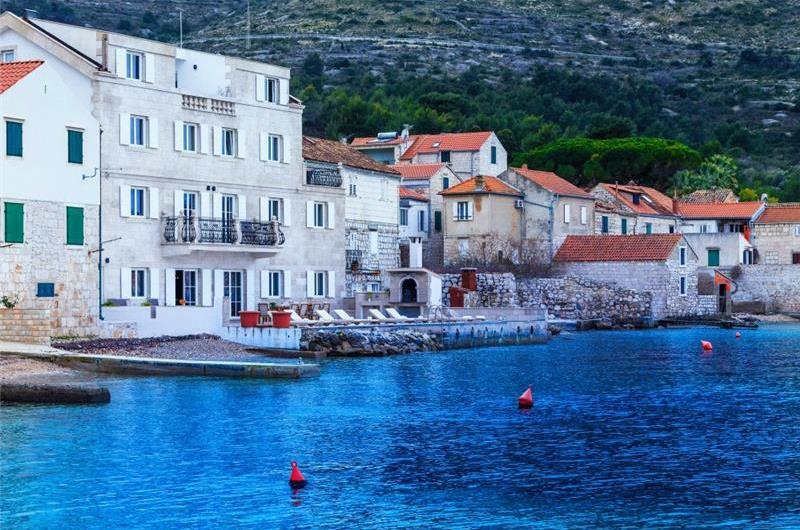 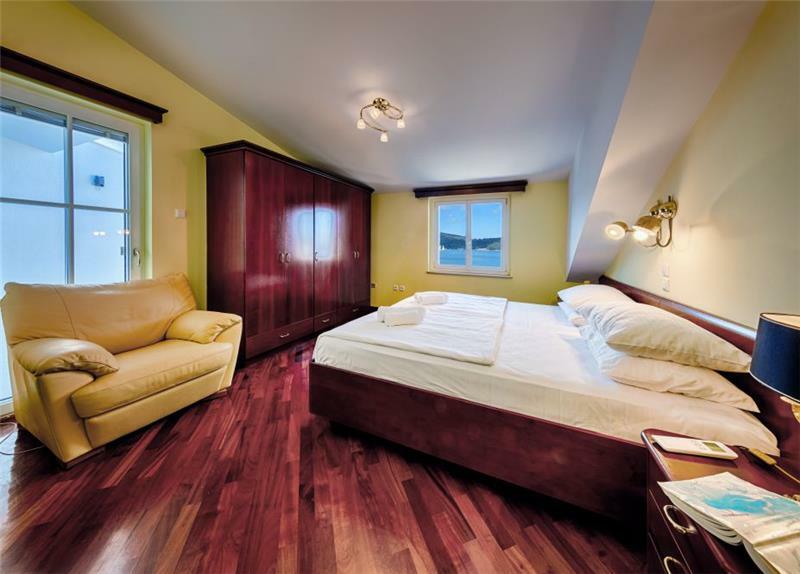 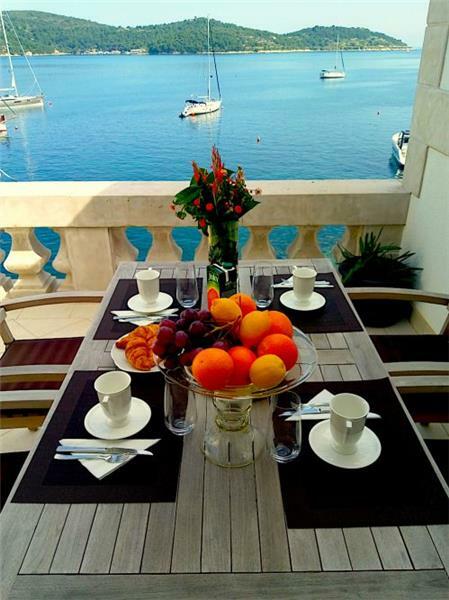 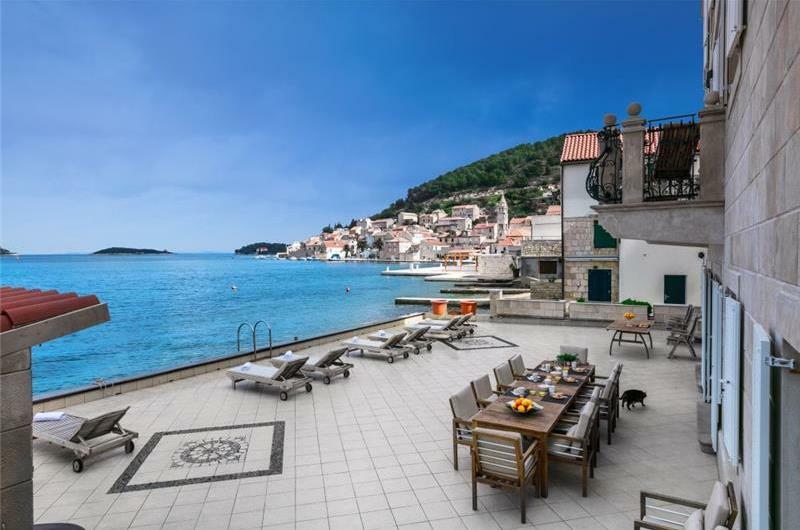 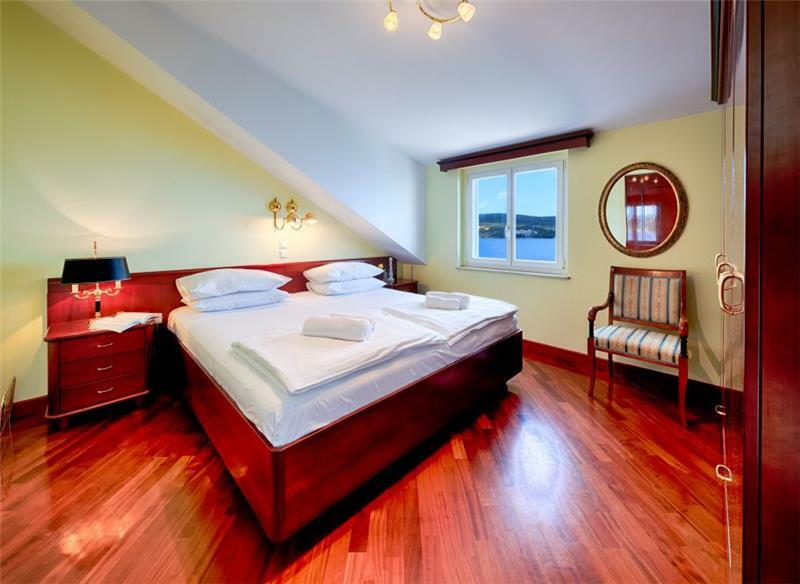 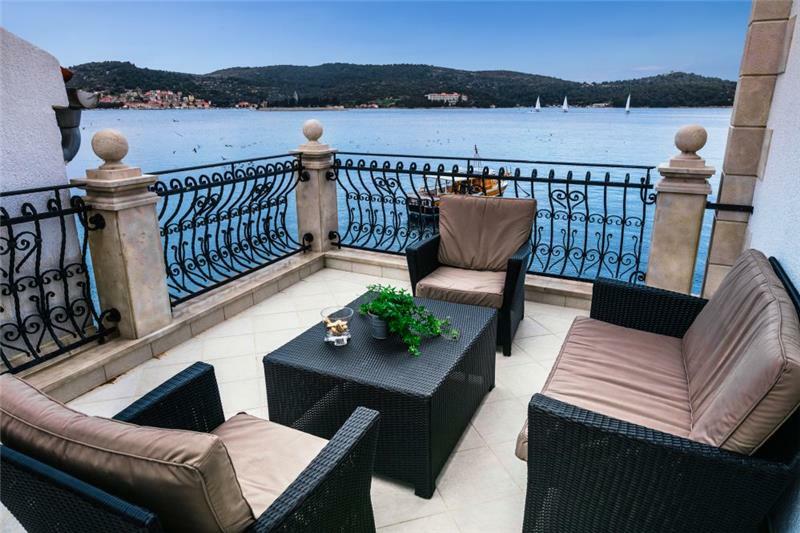 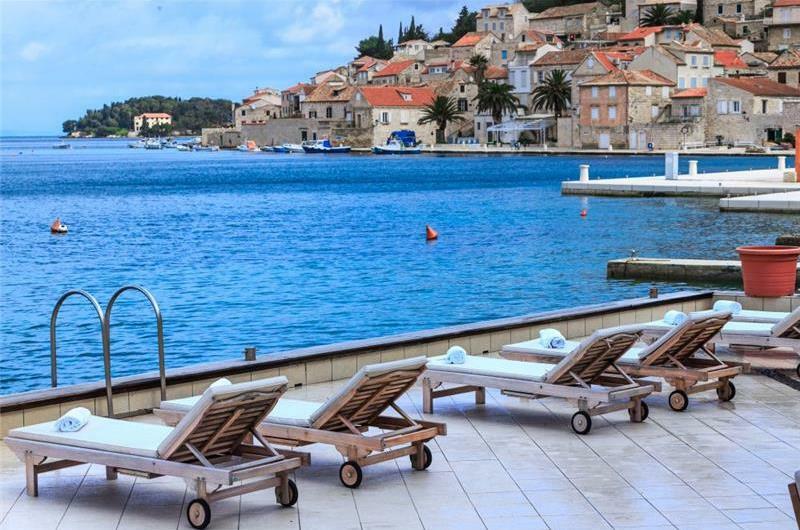 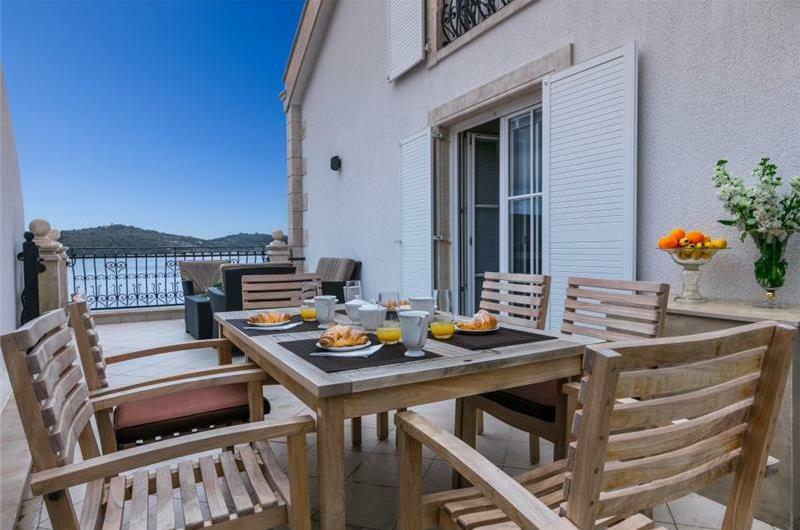 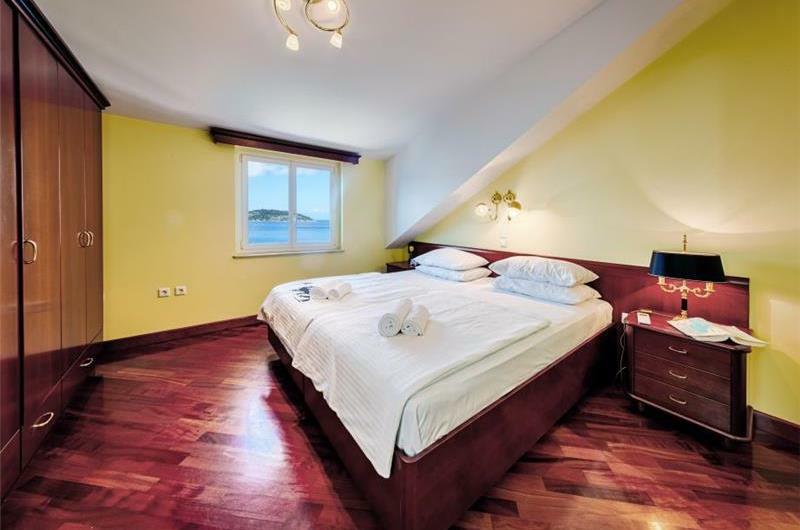 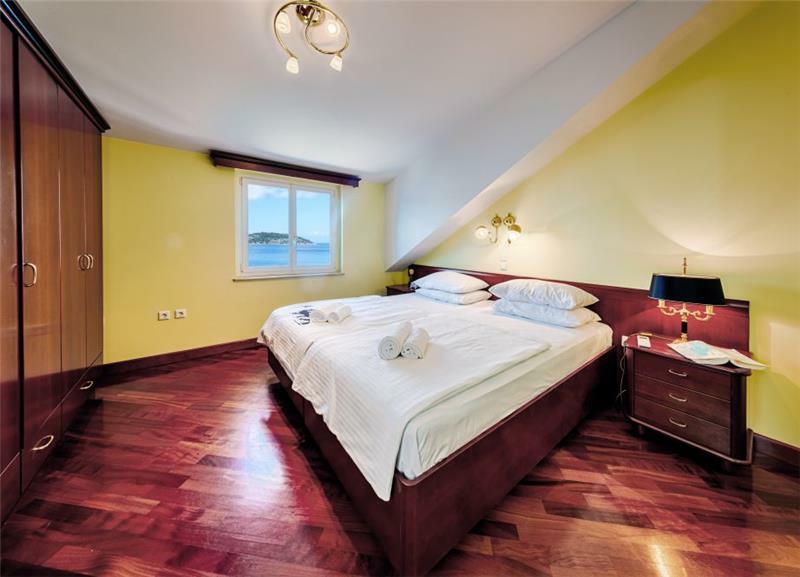 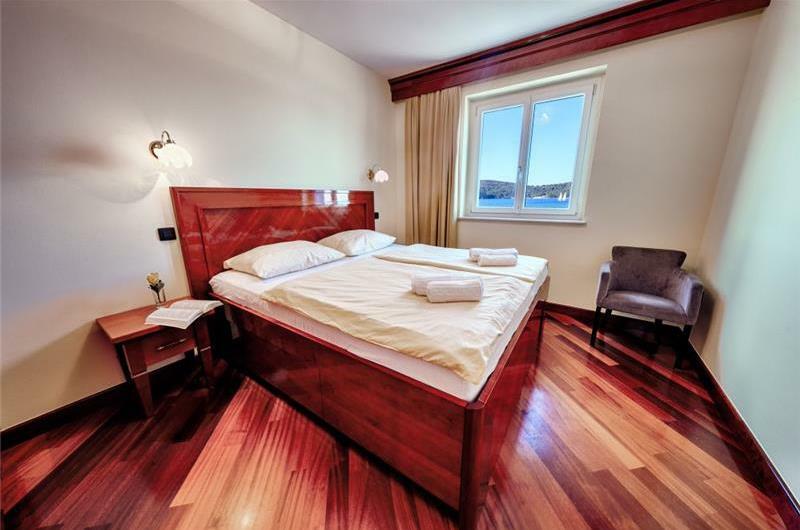 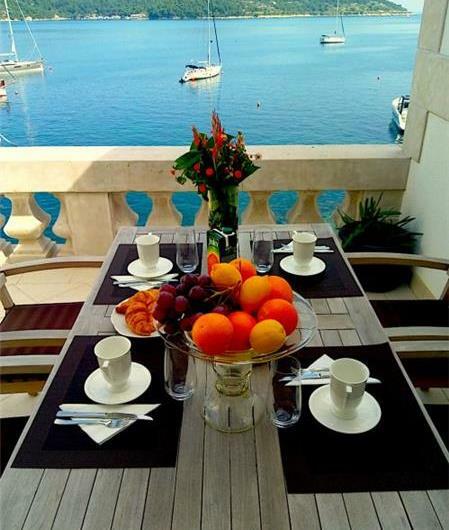 This 9 bedroom villa with terrace is located on the seafront of Vis town. 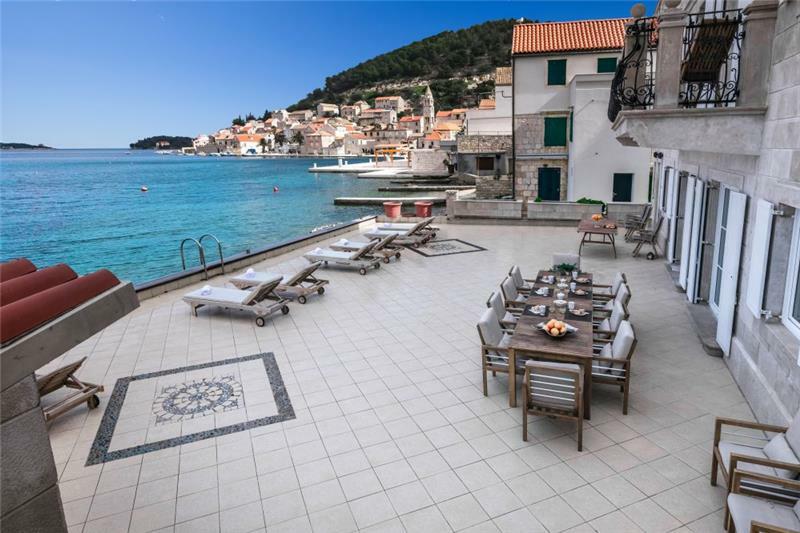 The property consists of four apartments, each of which can be rented as private properties or together to accommodate a total of 18 guests. 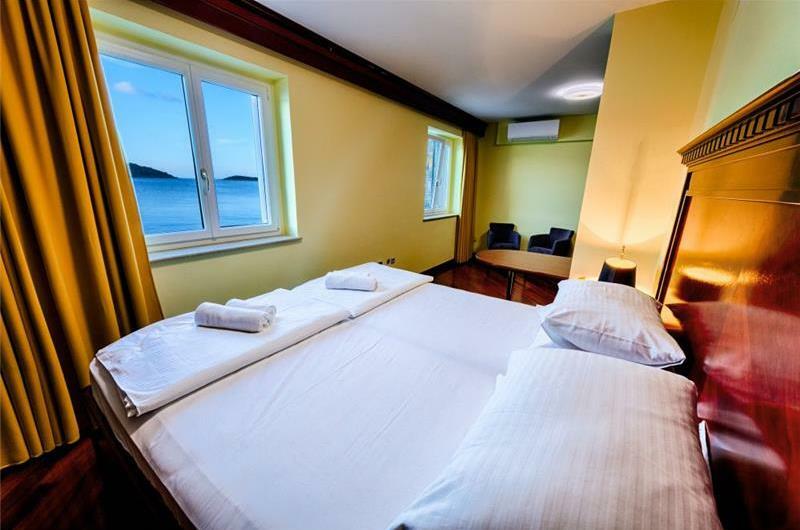 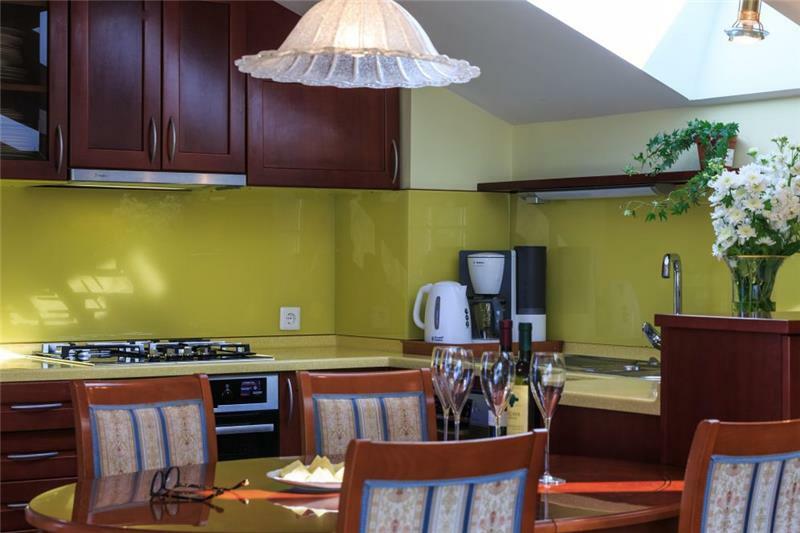 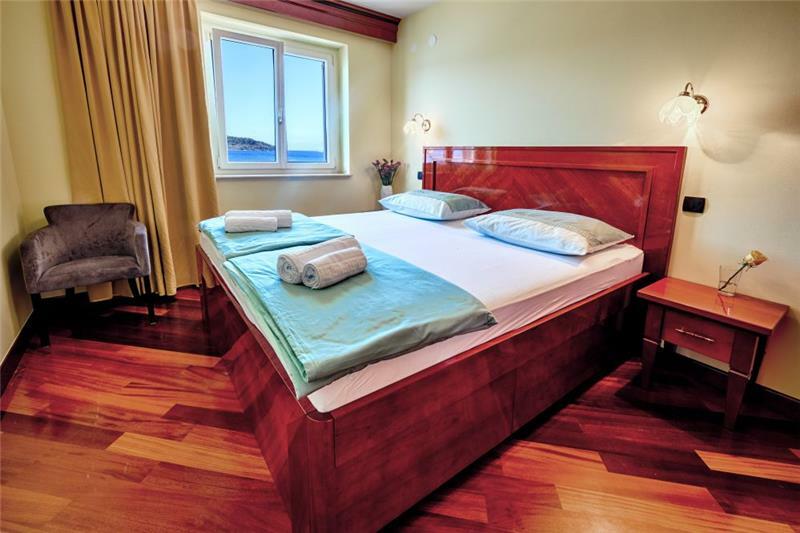 The property is in walking distance to restaurants, shops and bars and would suit groups of families and friends looking for a relaxing coastal and city stay. 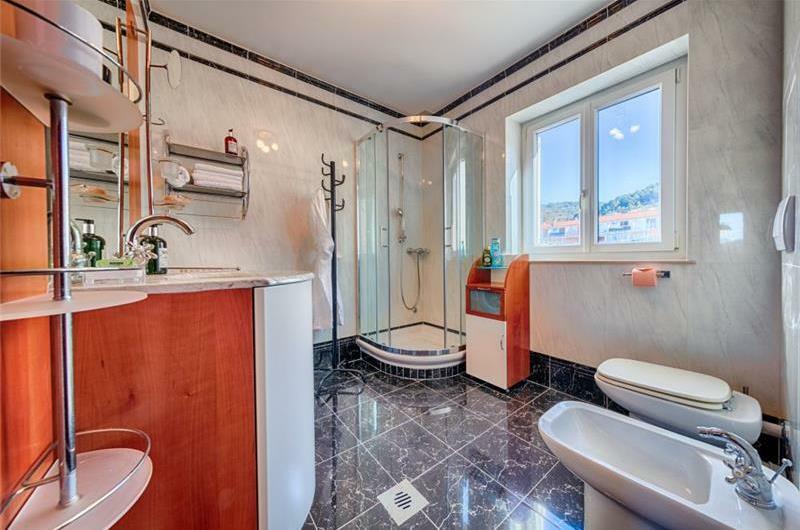 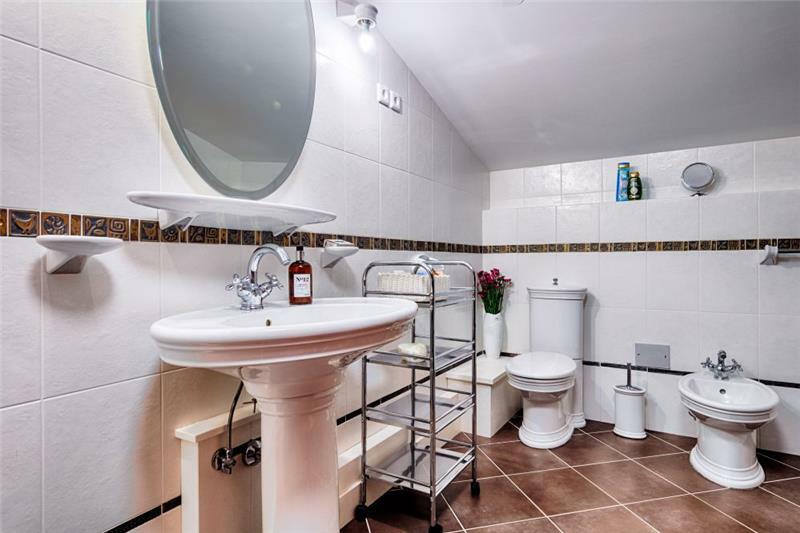 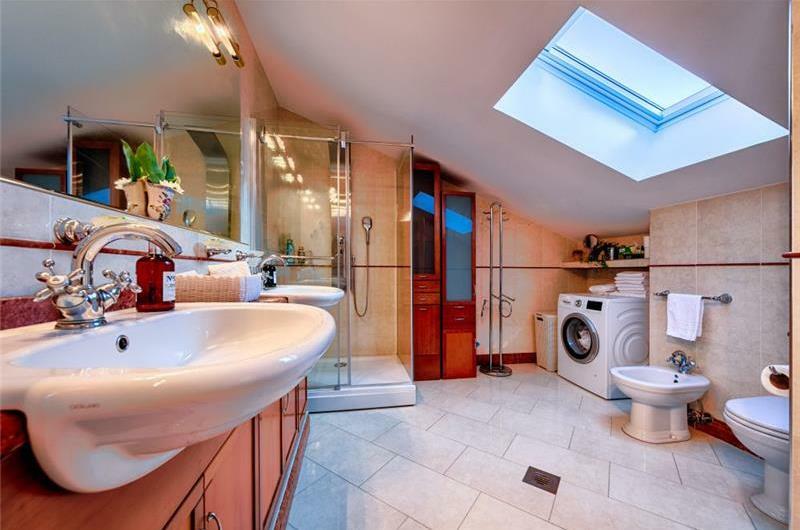 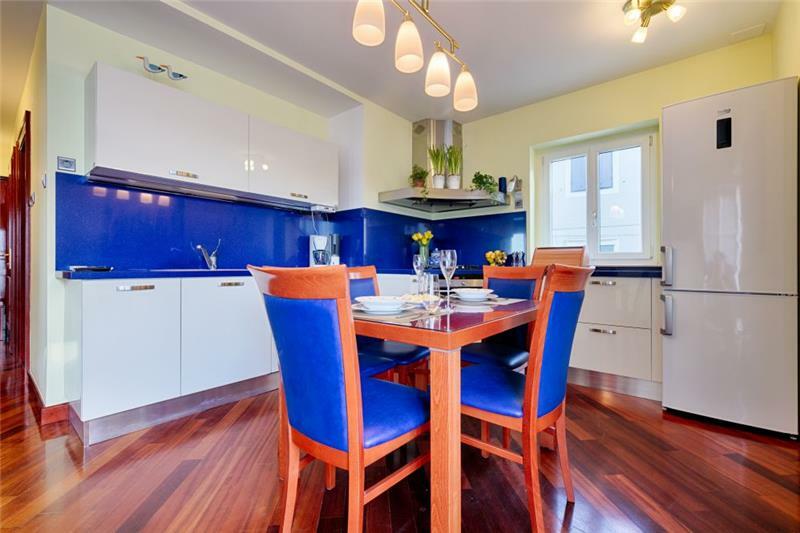 This duplex apartment takes place on the ground floor and the first floor of the three-storey property. 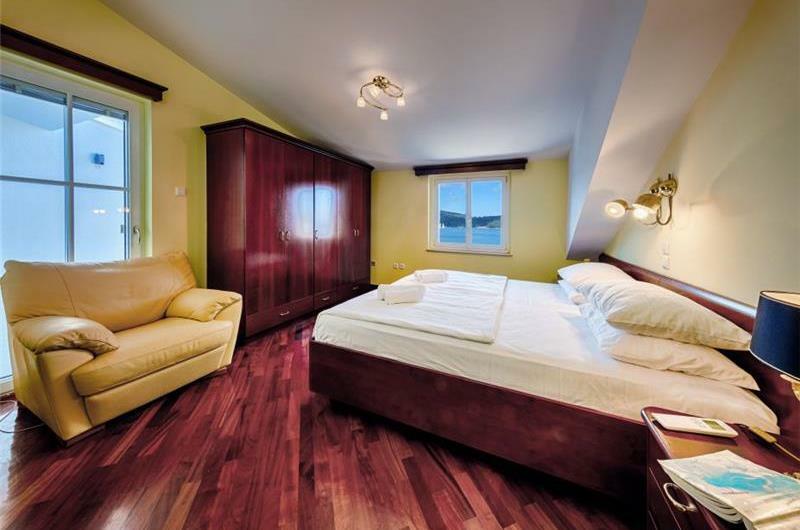 It can be booked on its own to accommodate 8 guests at VS012D. 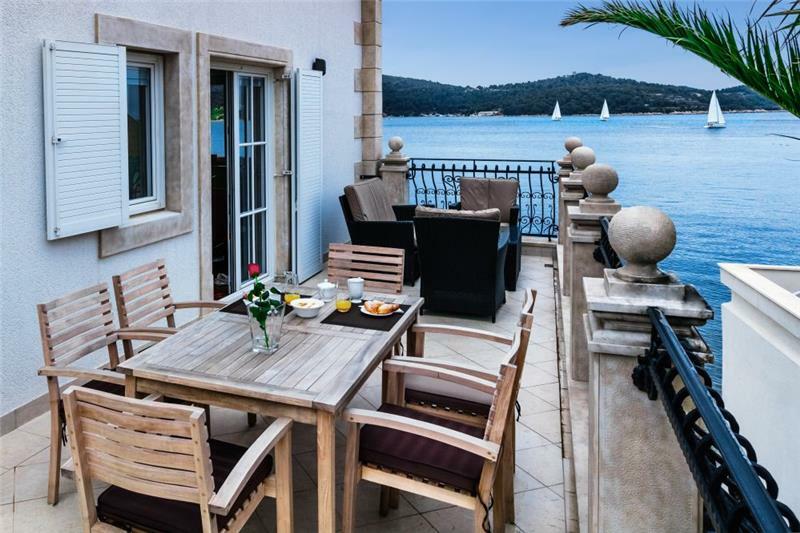 The ground floor consists of a spacious open-plan kitchen/diner that overlooks the terrace and sea, a large lounge and a double bedroom. 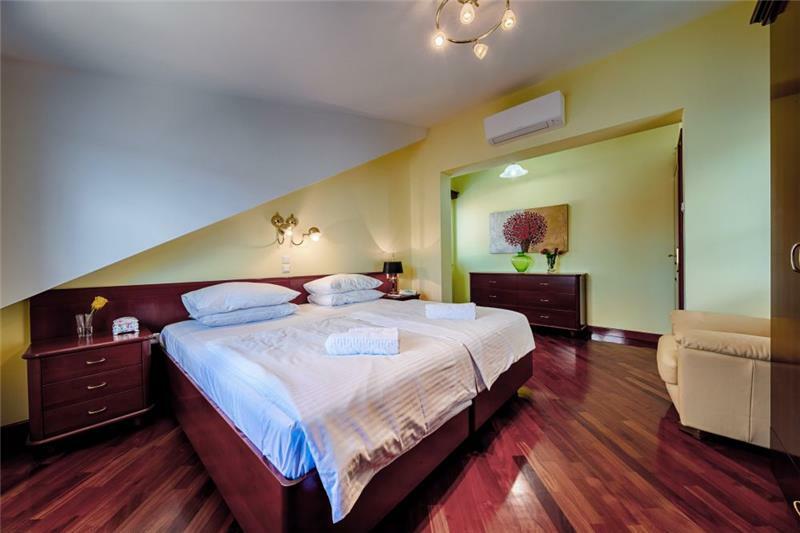 The first floor consists of 3 further double bedrooms. 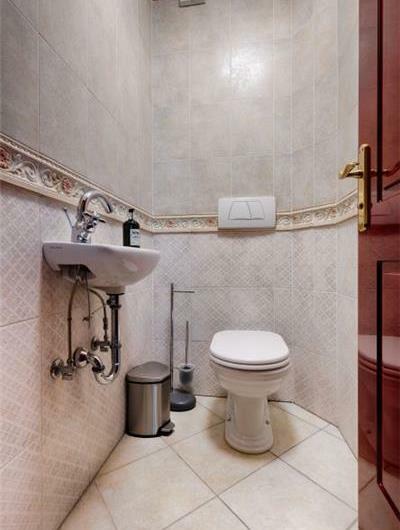 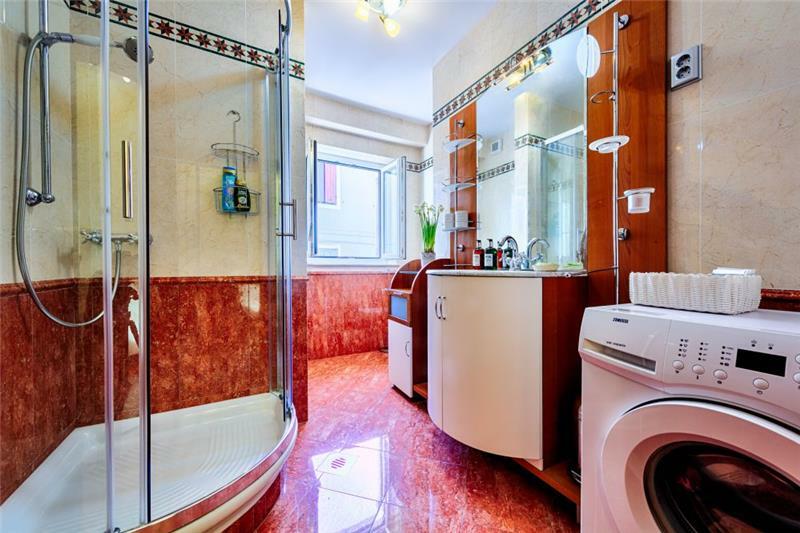 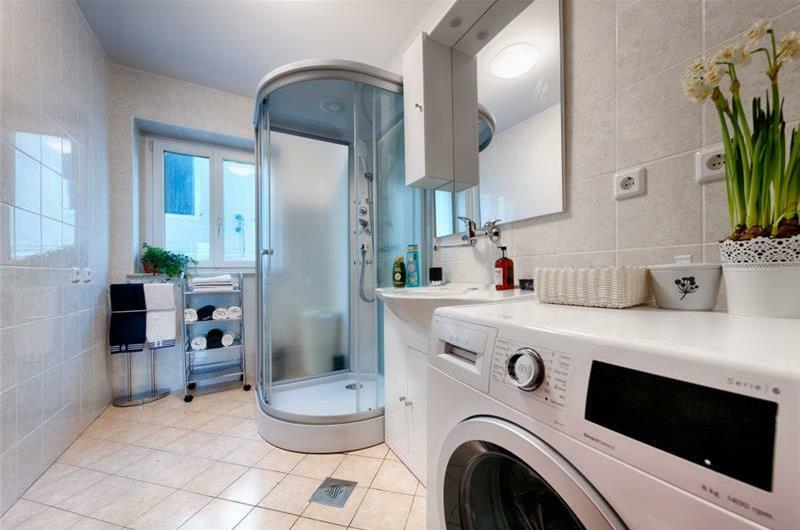 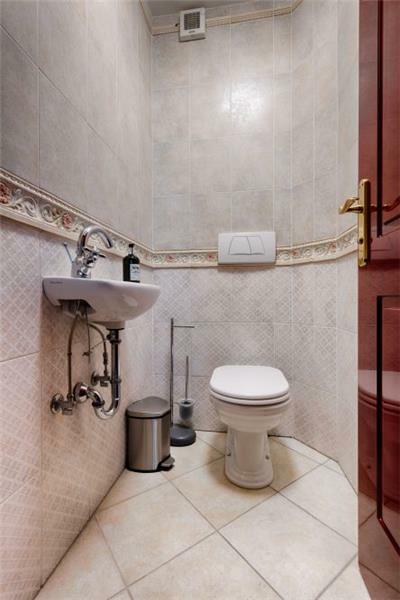 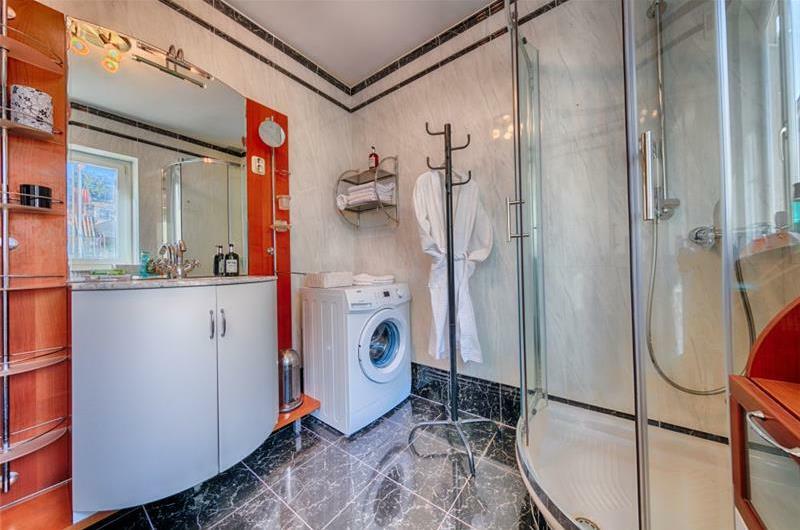 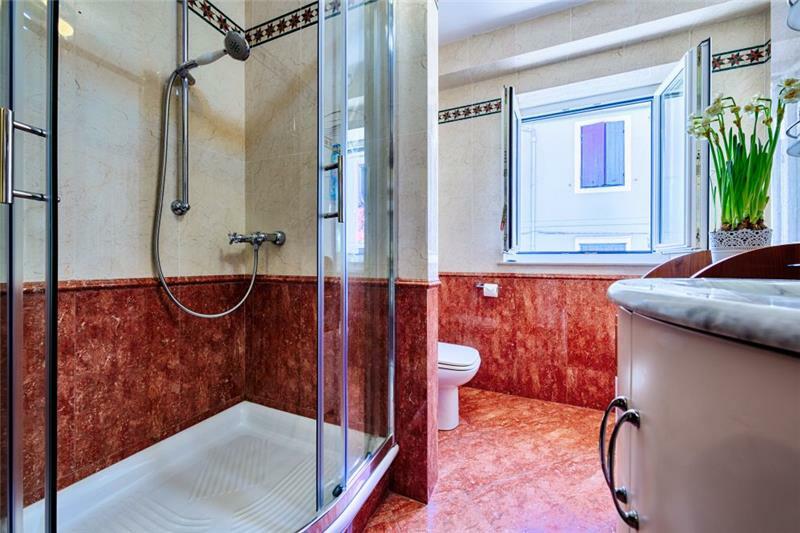 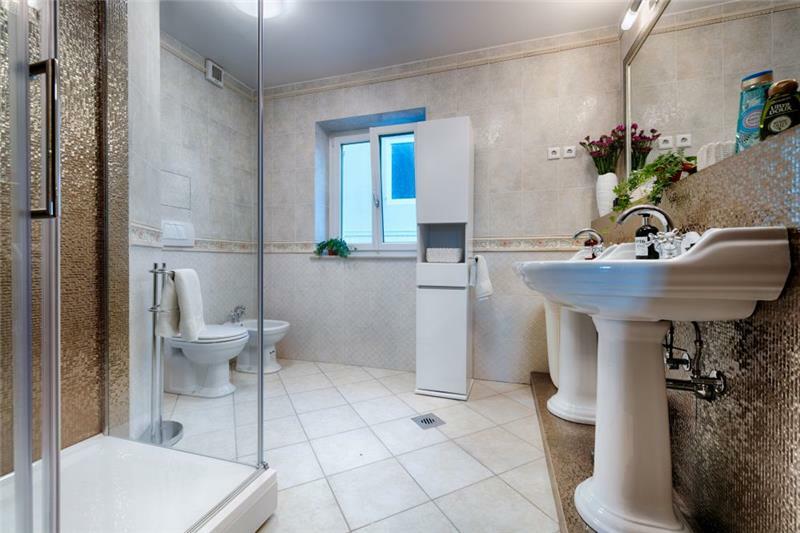 There are 3 bathrooms and a WC in the apartment. 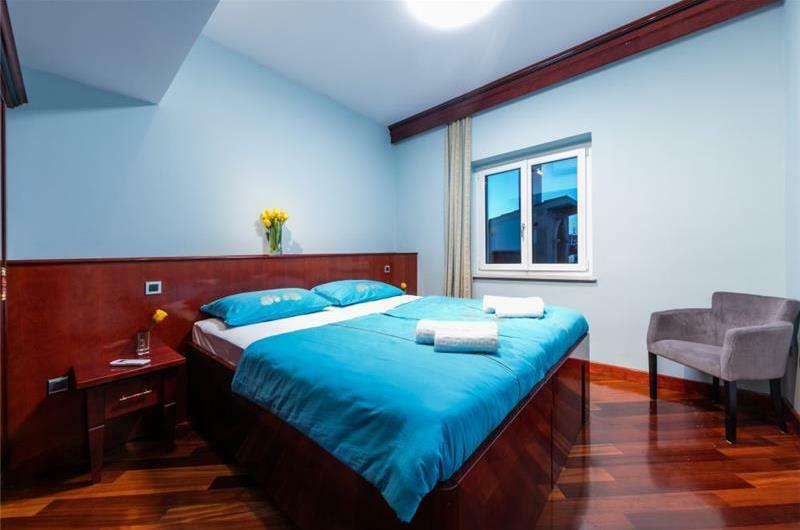 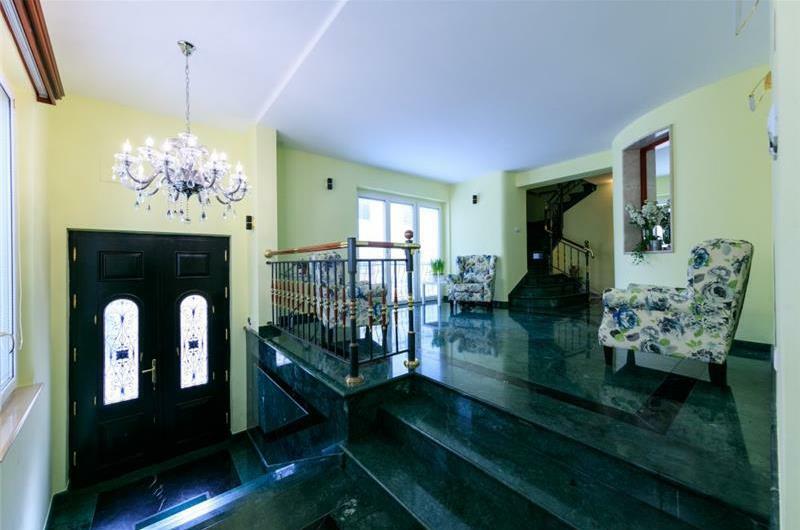 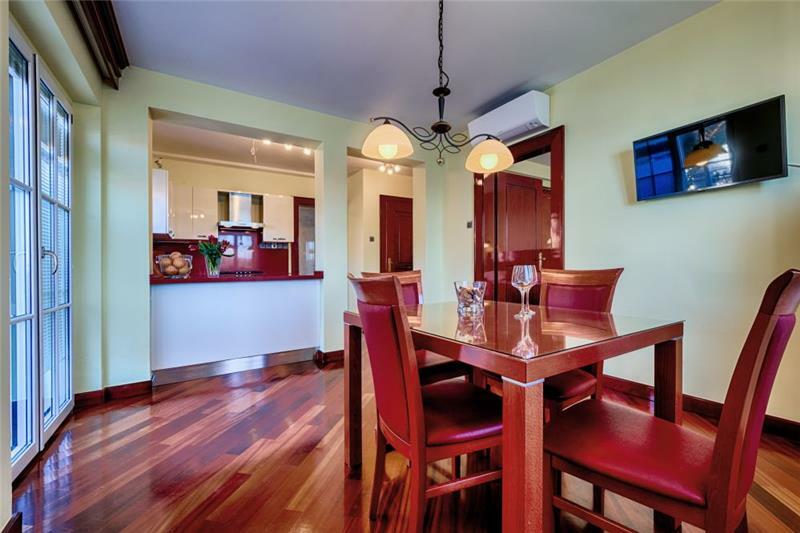 This apartment is situated on the second floor of the three-storey property. 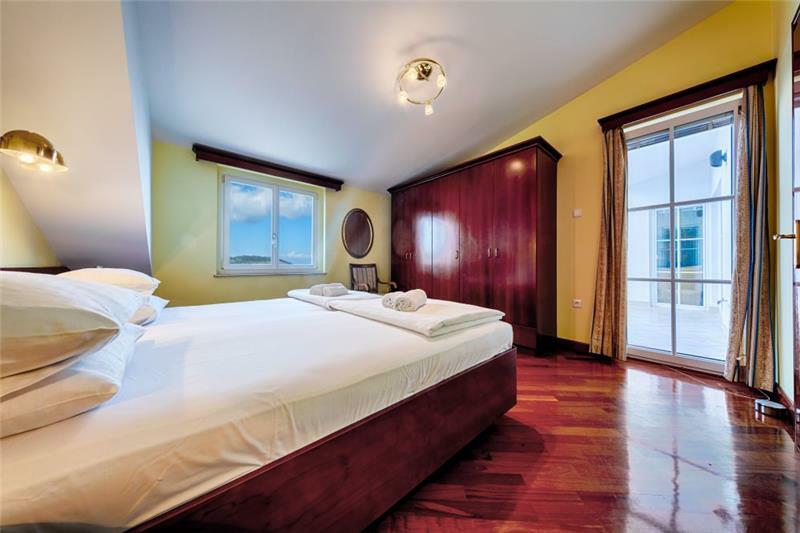 It can be booked on its own to accommodate 4 guests at VS012B. 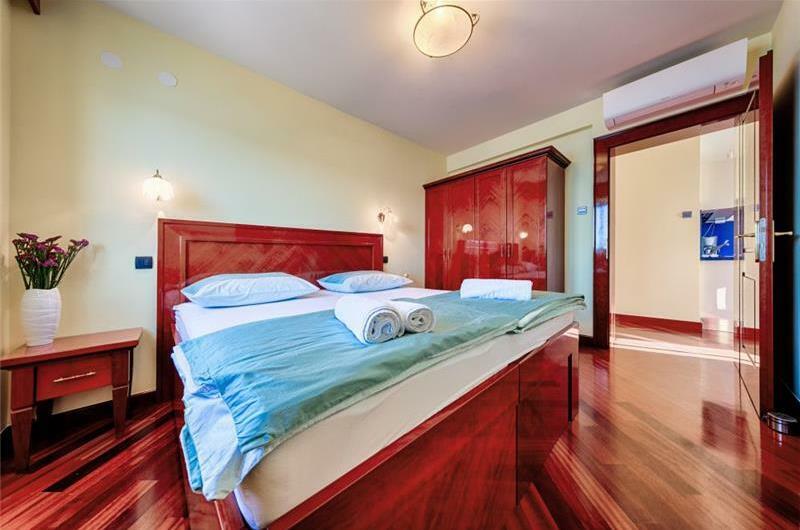 It consists of 2 double bedrooms, a bathroom, a kitchen and dining area. 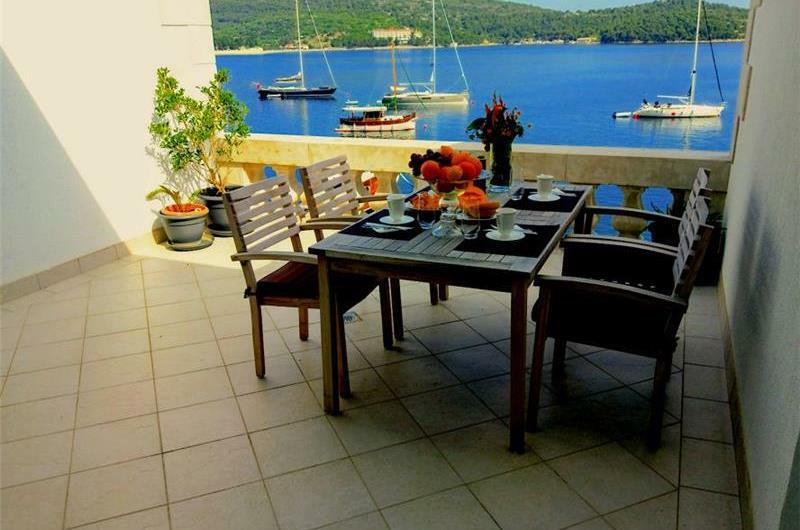 The apartment has access to a balcony with a table and chairs and beautiful sea views. This apartment is situated on the second floor of the three-storey property. 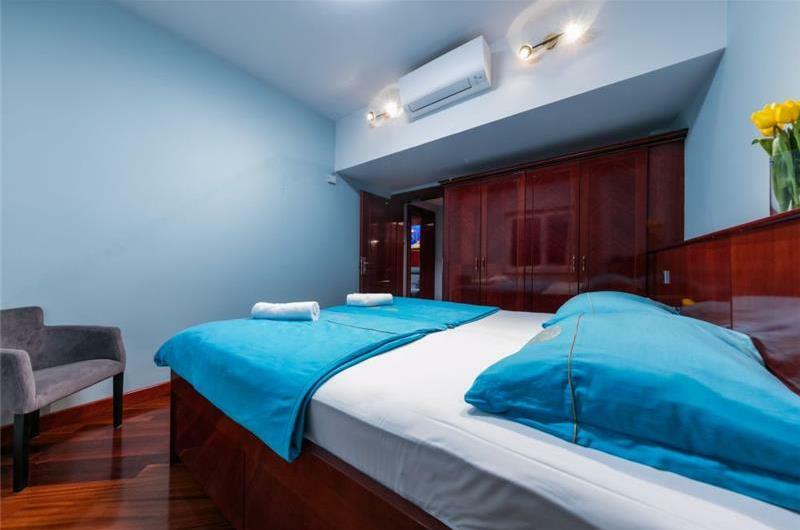 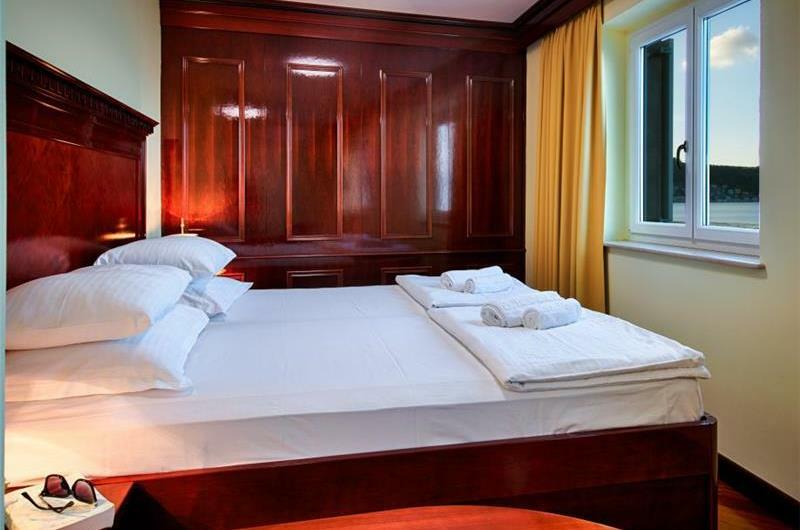 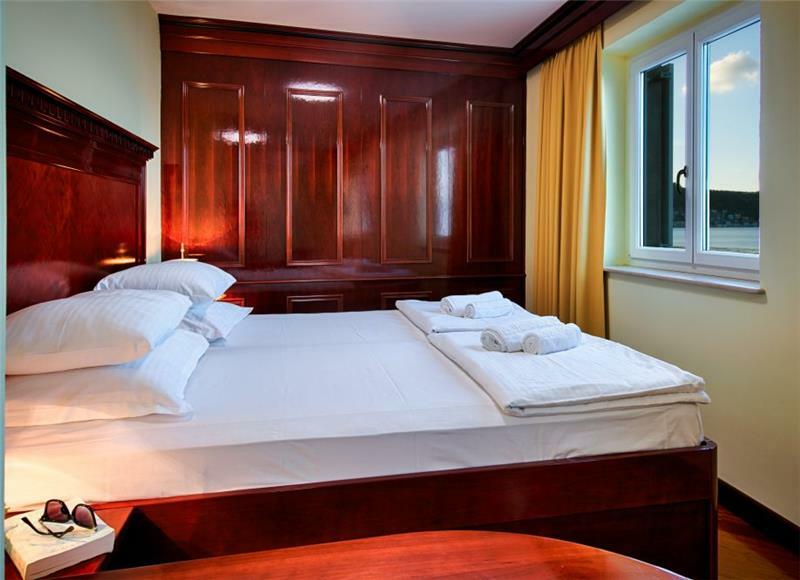 It can be booked on its own to accommodate 2 guests at VS012A. 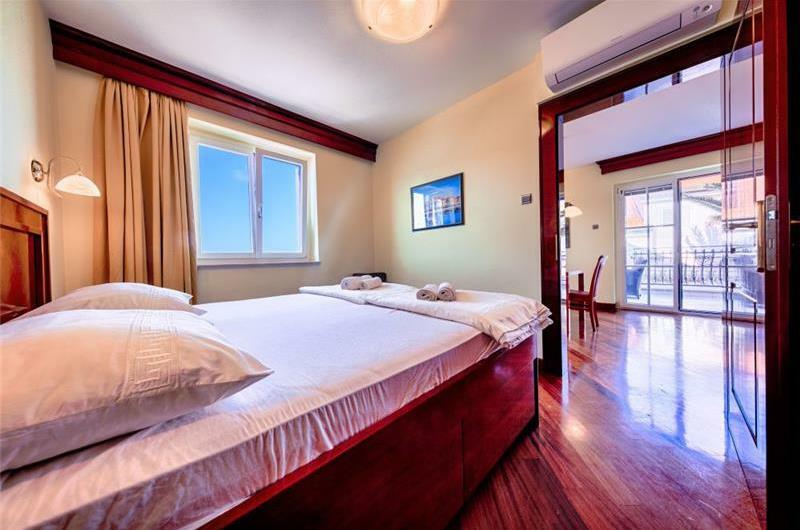 It has one double bedroom and a bathroom, a kitchen and a dining area. The apartment has access to a terrace with a table and chairs and stunning sea views. 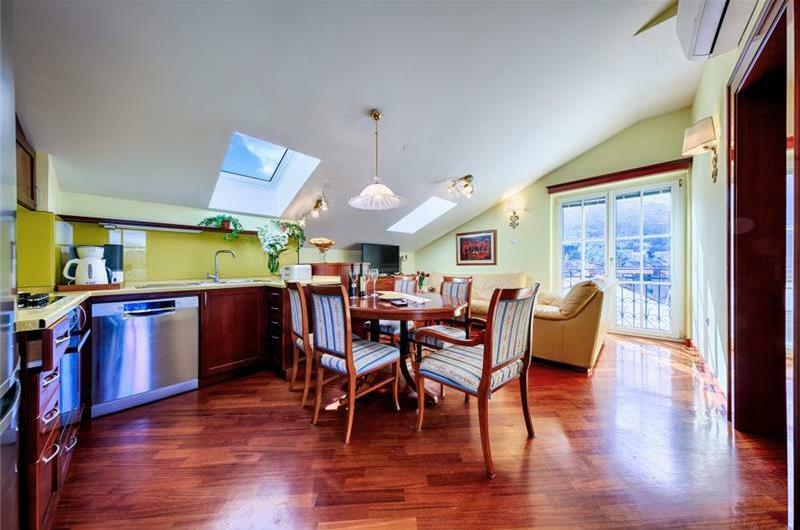 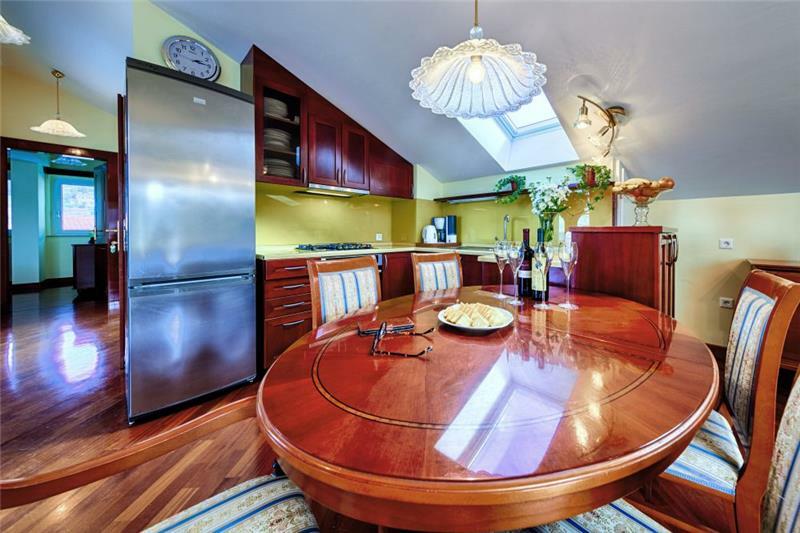 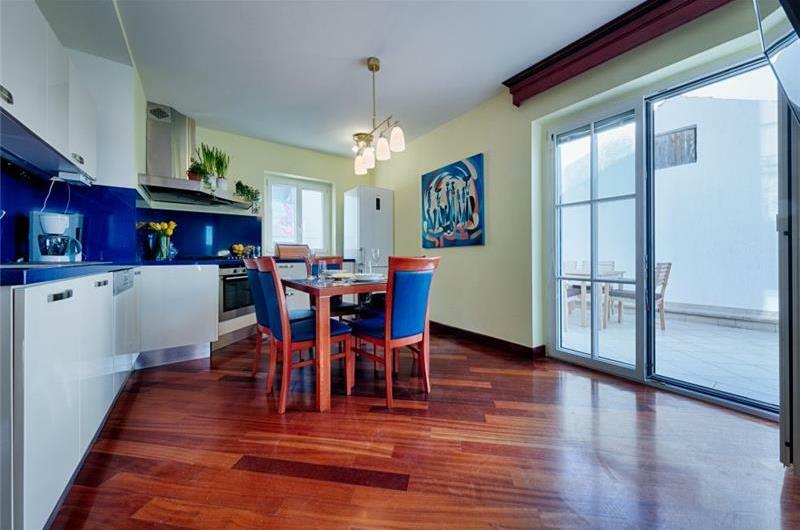 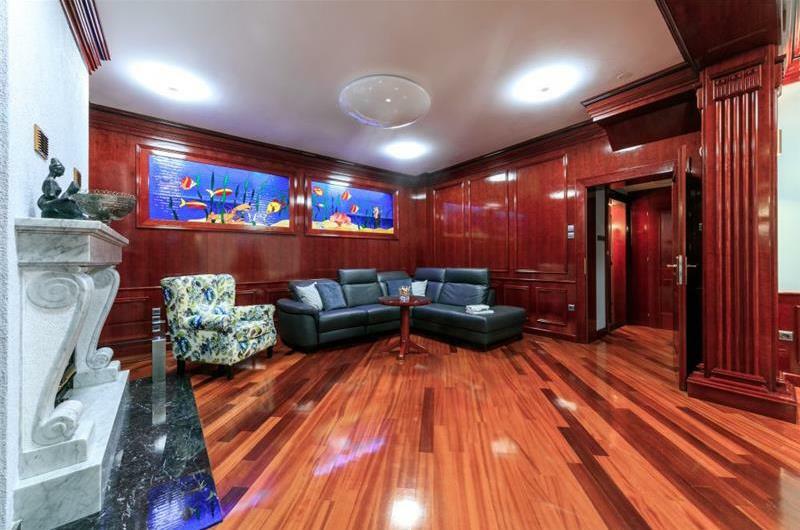 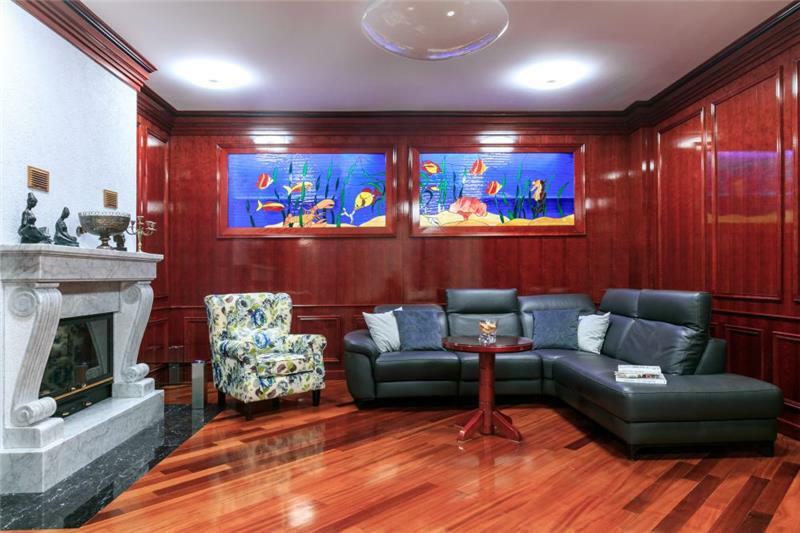 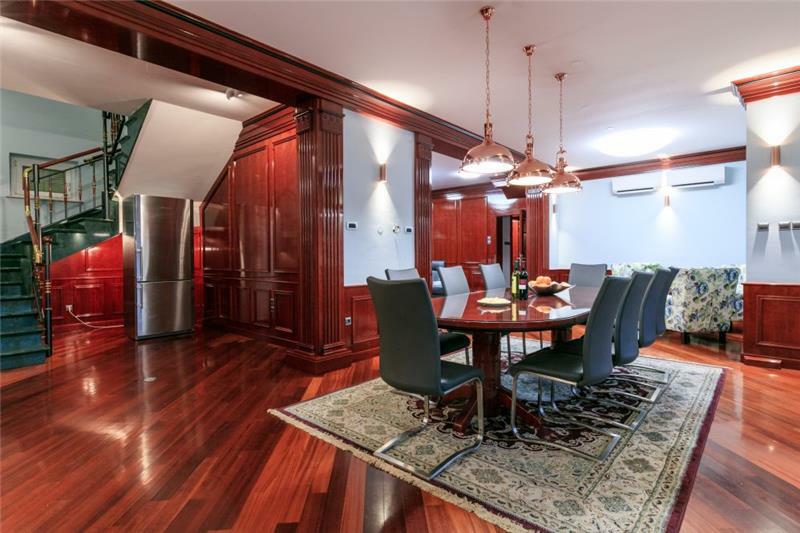 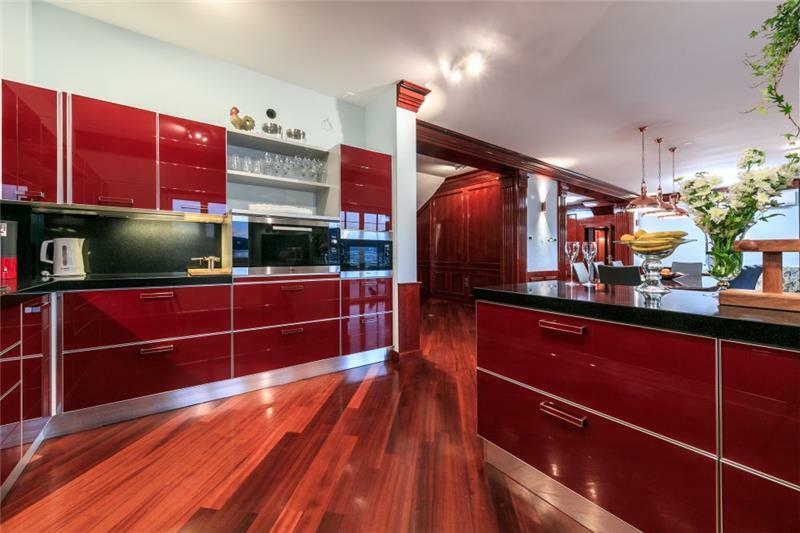 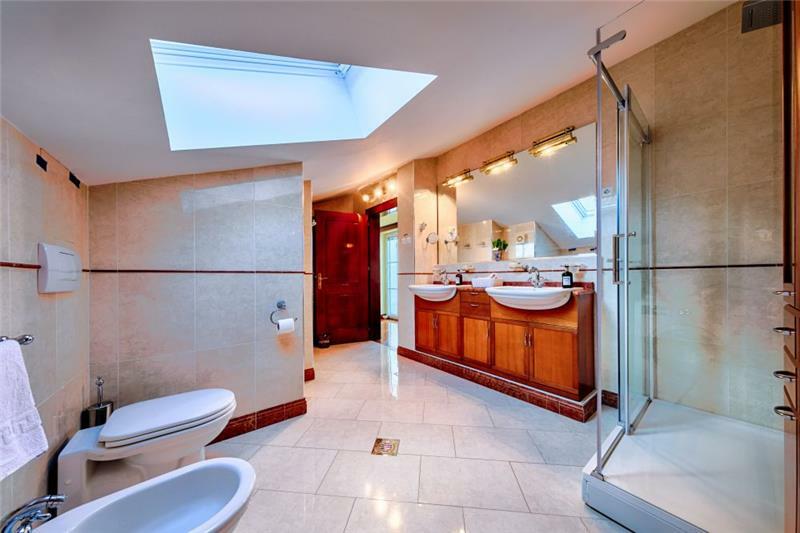 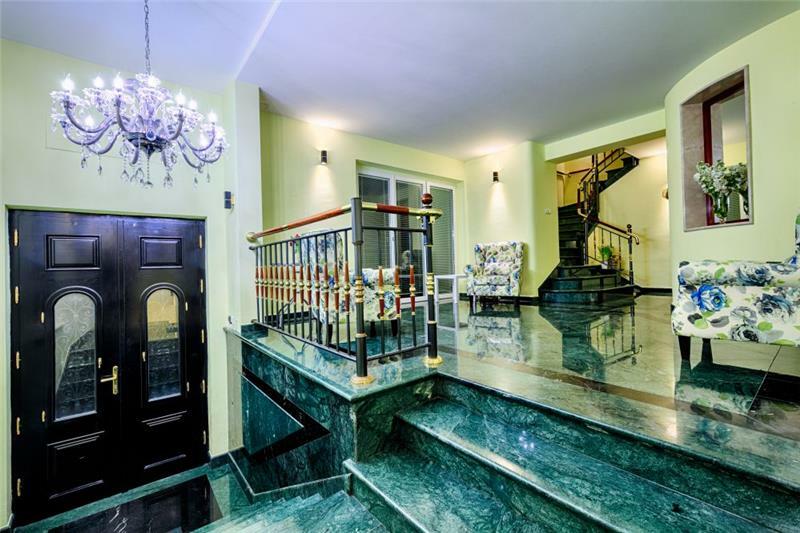 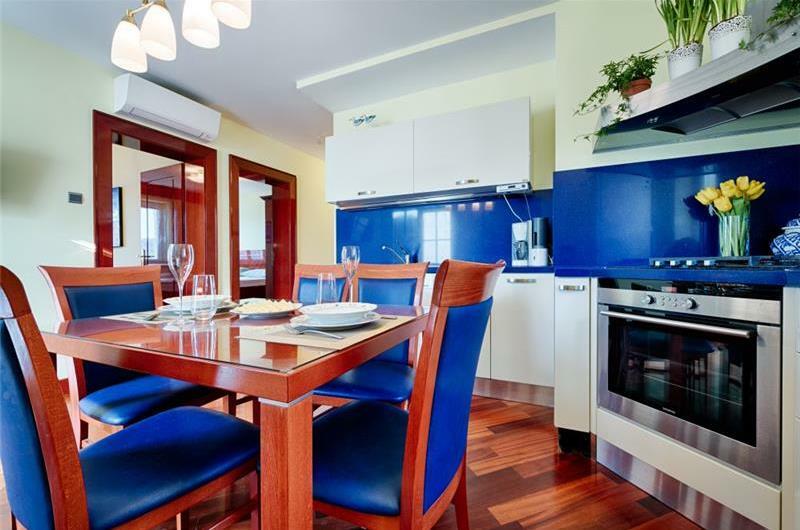 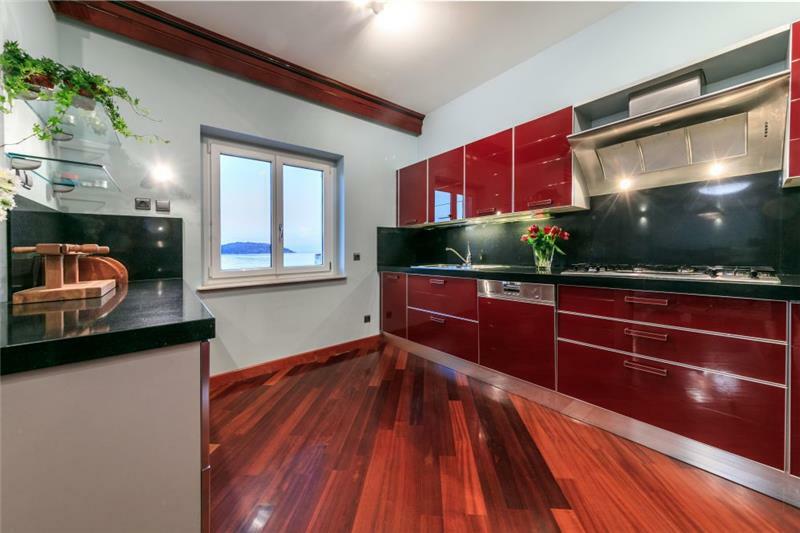 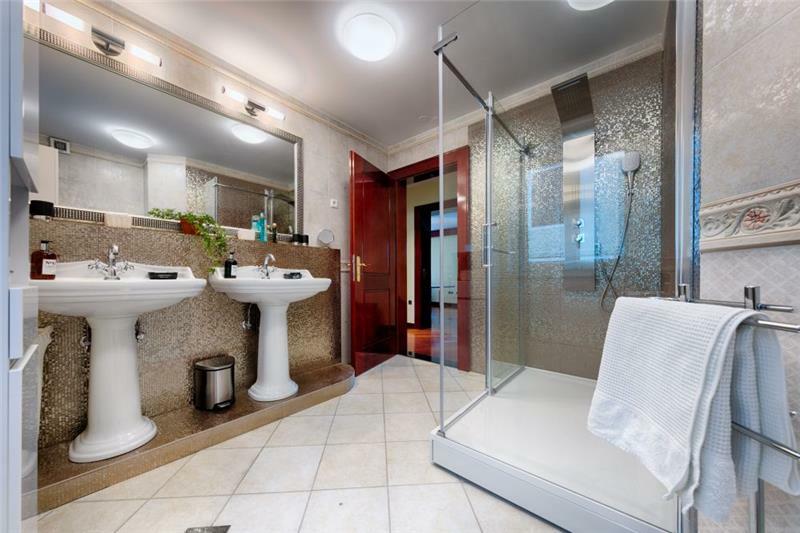 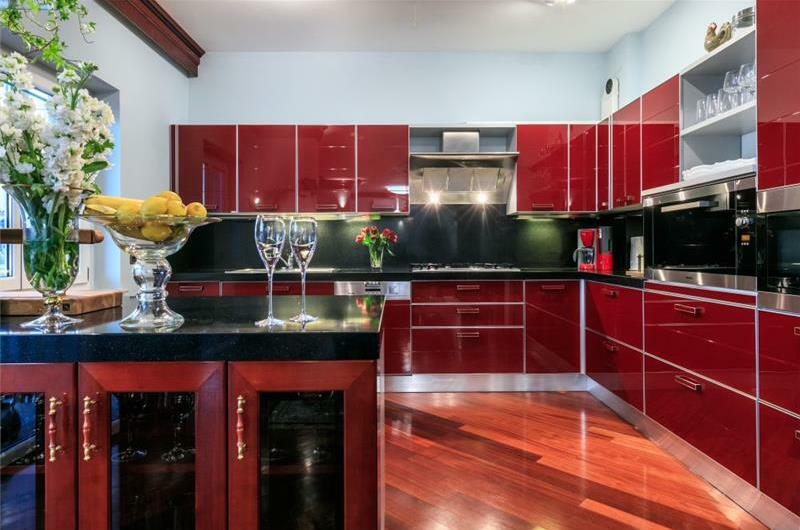 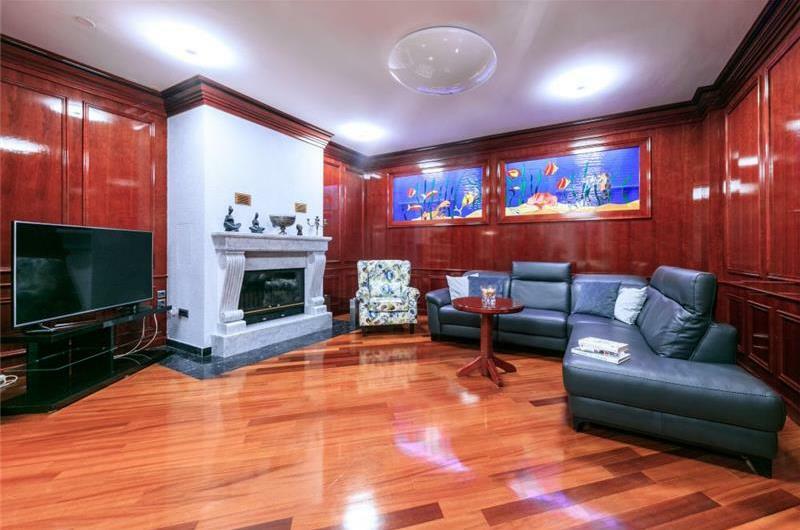 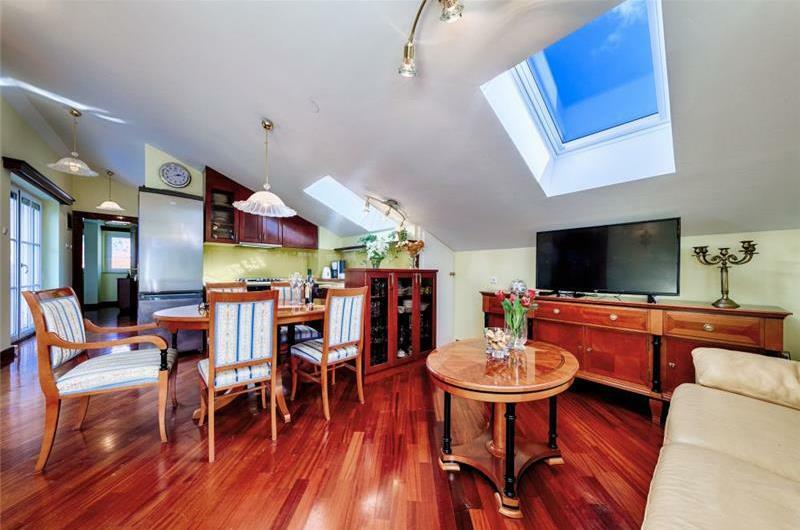 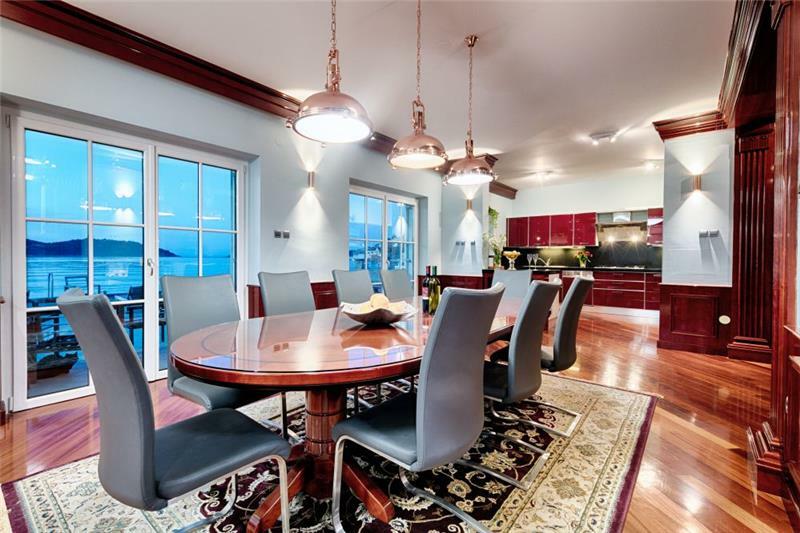 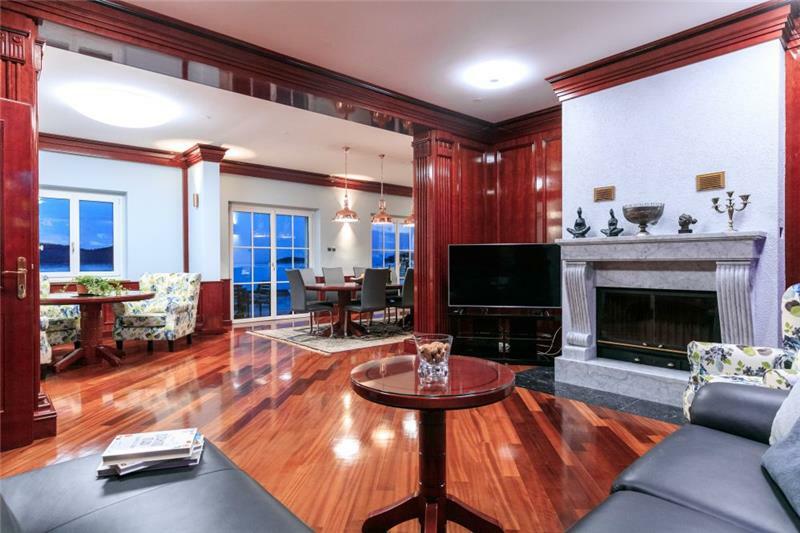 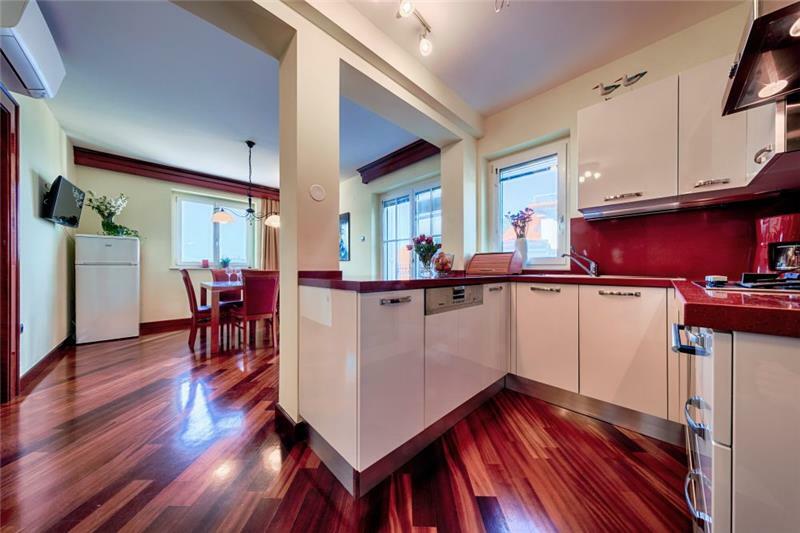 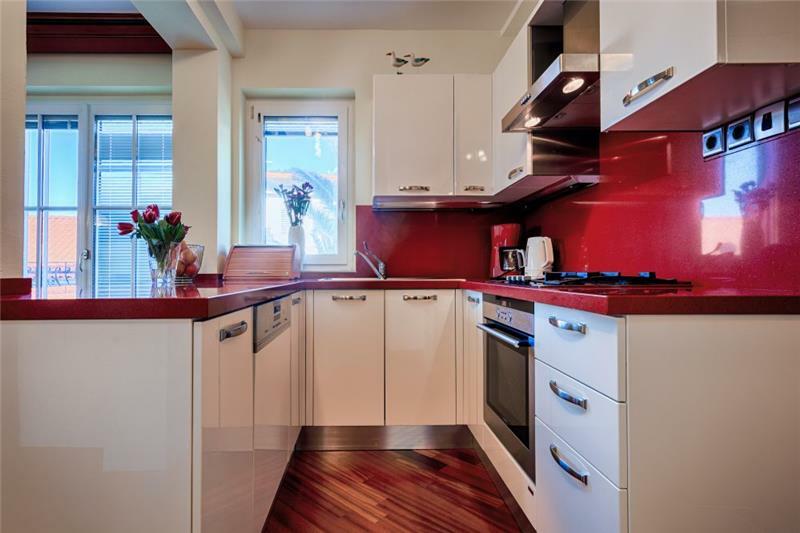 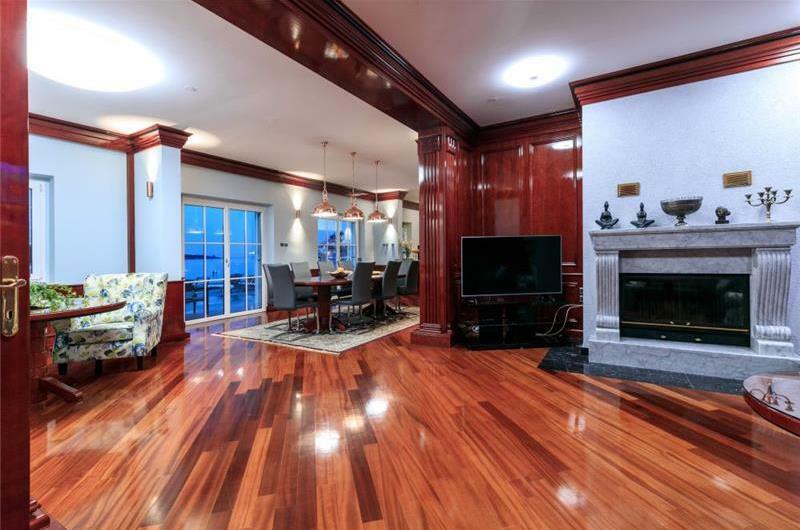 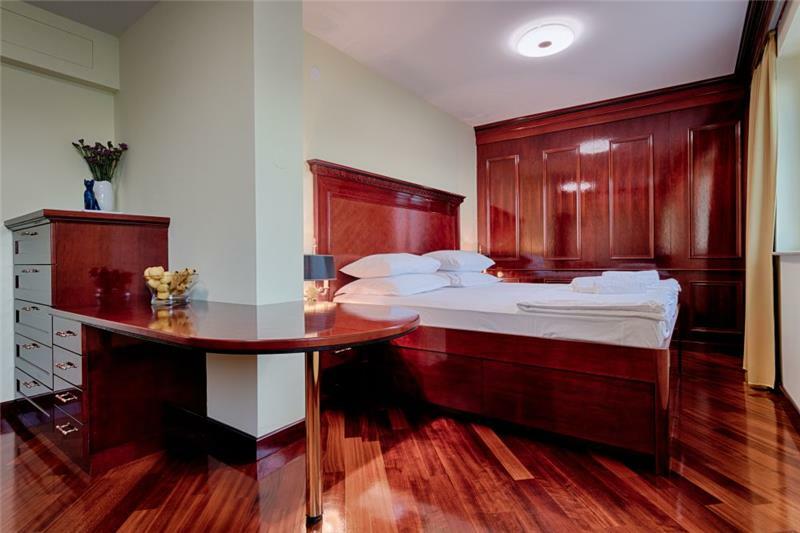 This penthouse apartment is situated on the third floor of the three-storey apartment. 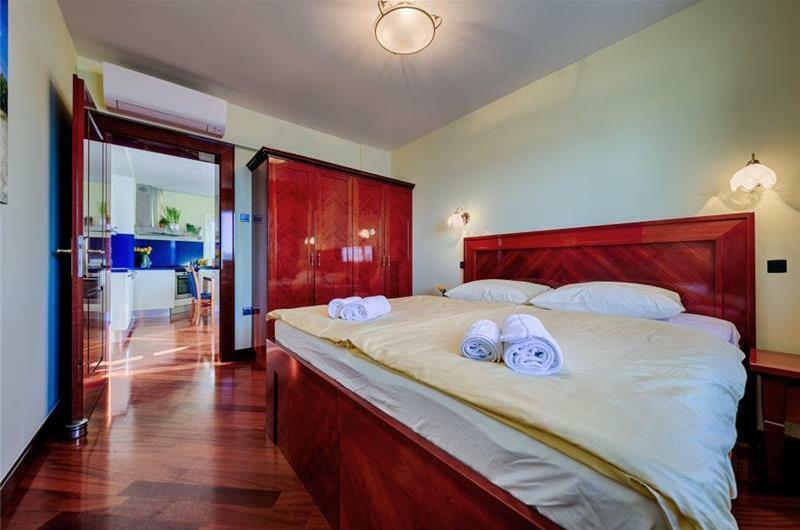 It can be booked on its own to accommodate 4 guests at VS012C. 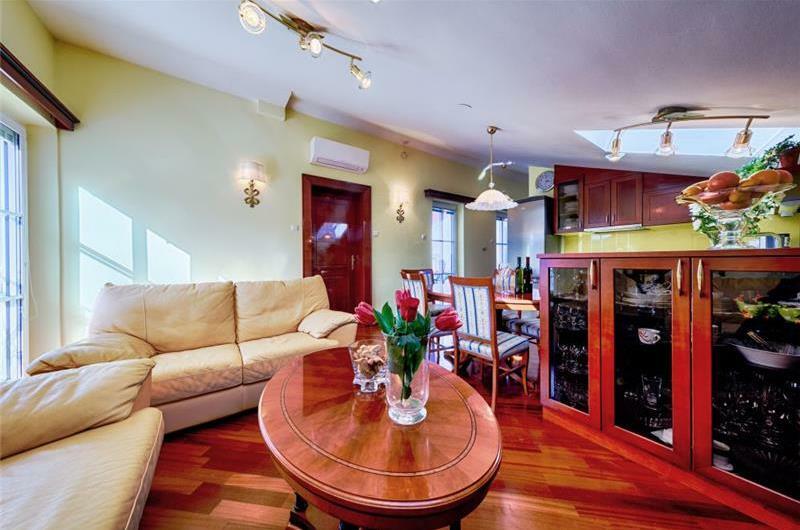 It has two double bedrooms, a bathroom, a kitchen, dining area and living room. 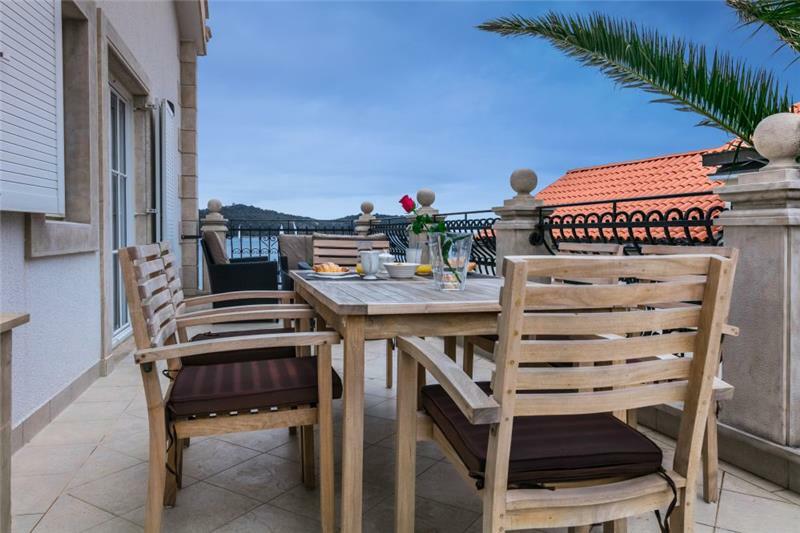 The apartment has a balcony with a table and chairs and stunning sea views. Outside there is a spacious terrace that stretches to the seafront, which can be accessed from the ground floor apartment. 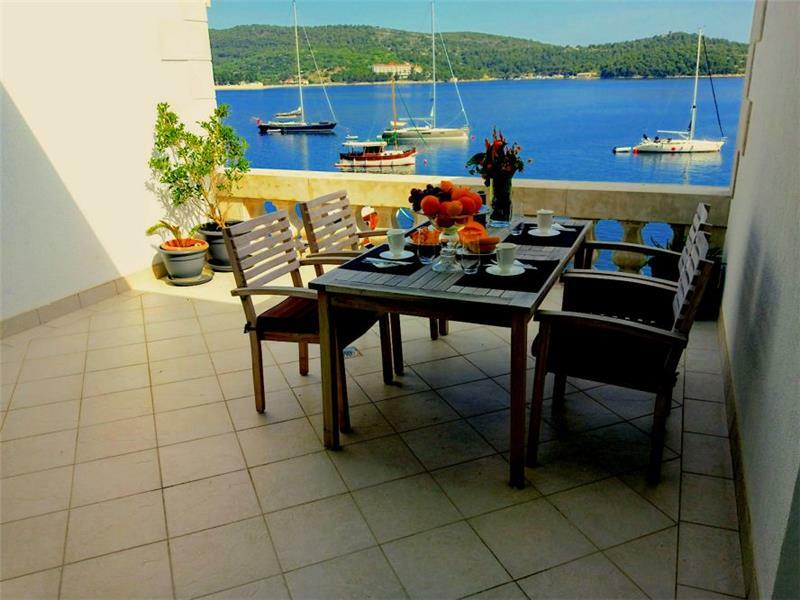 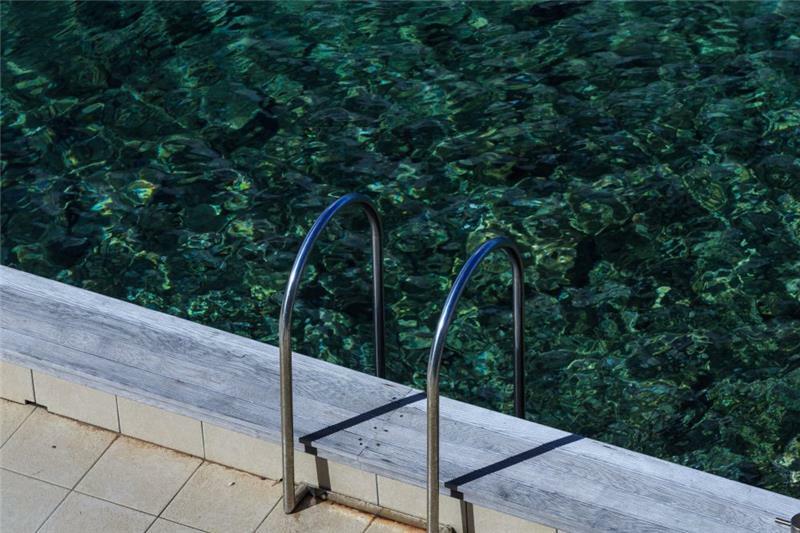 It is equipped with sun loungers, a dining table and chairs, and a BBQ for alfresco dining. 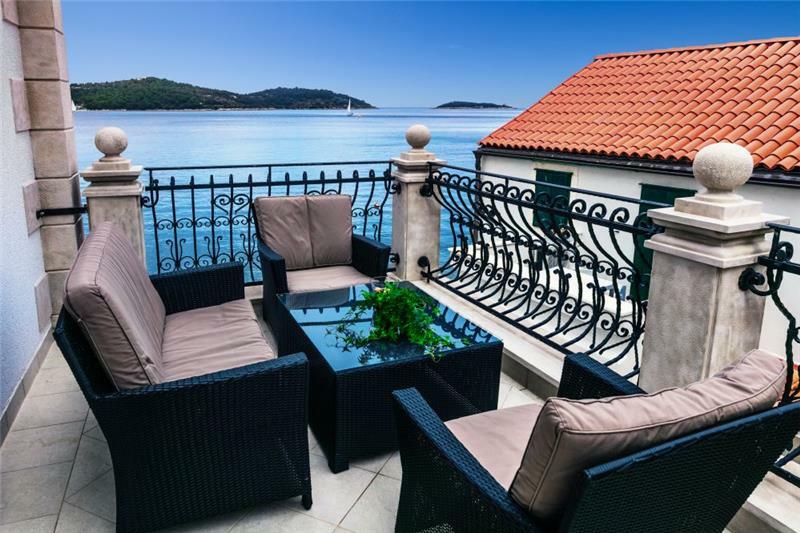 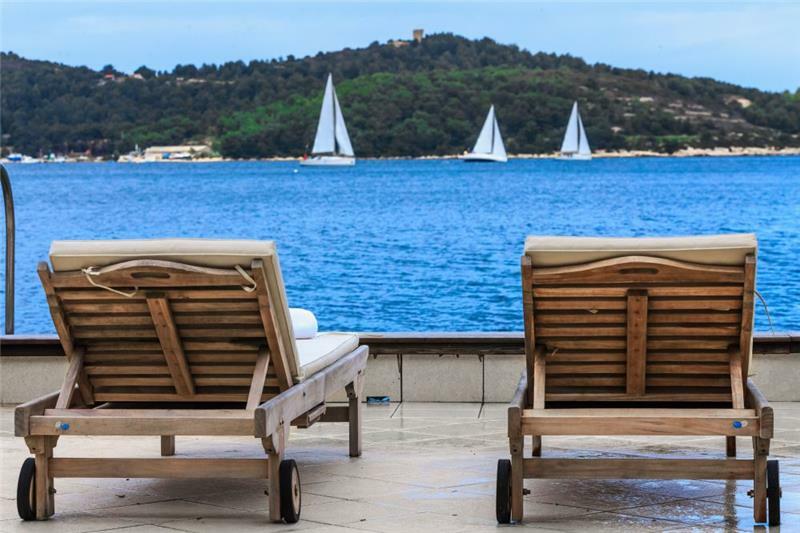 The terrace stretches out to the sea where there is parking space for 2 yachts. 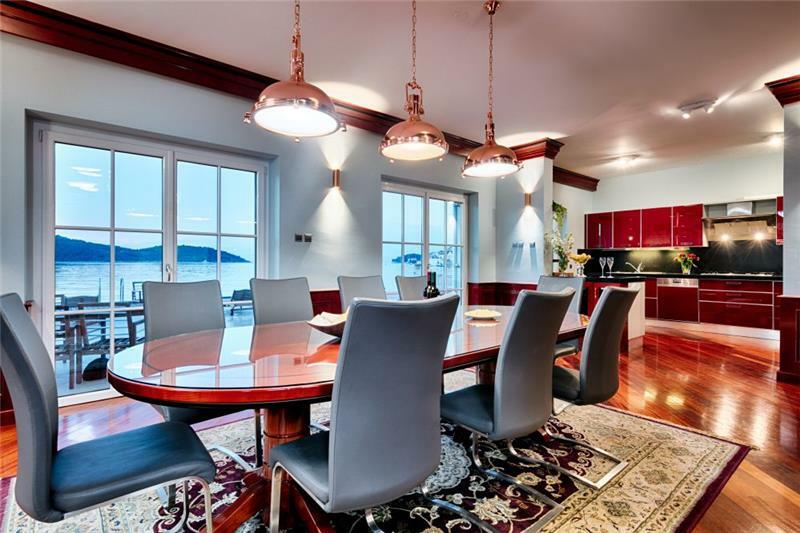 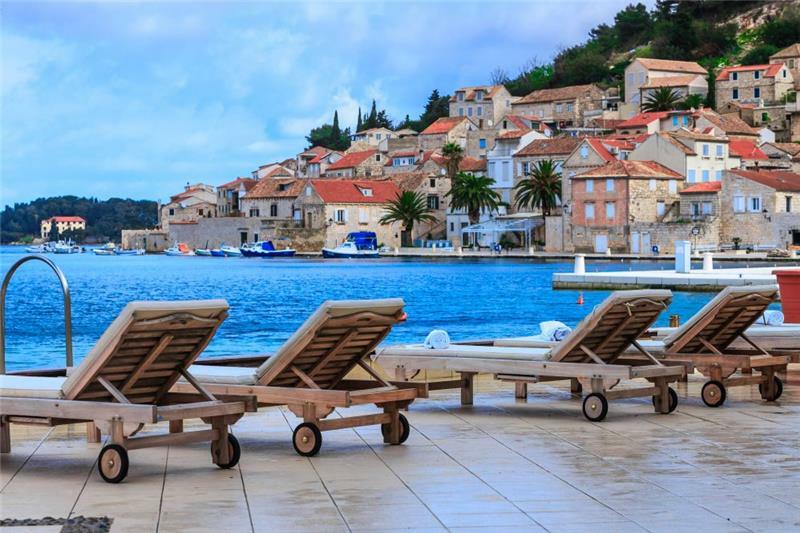 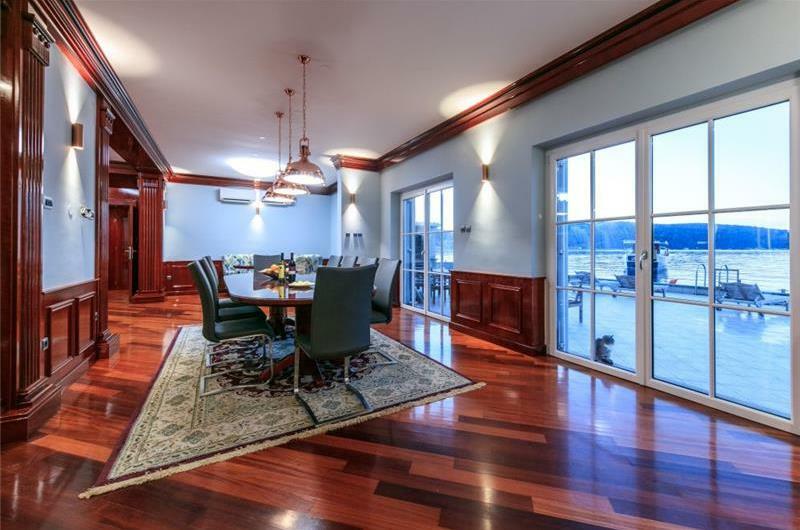 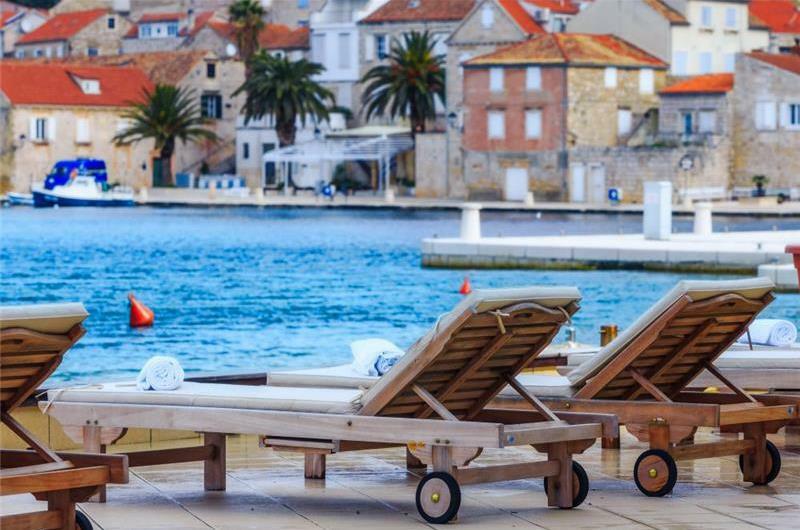 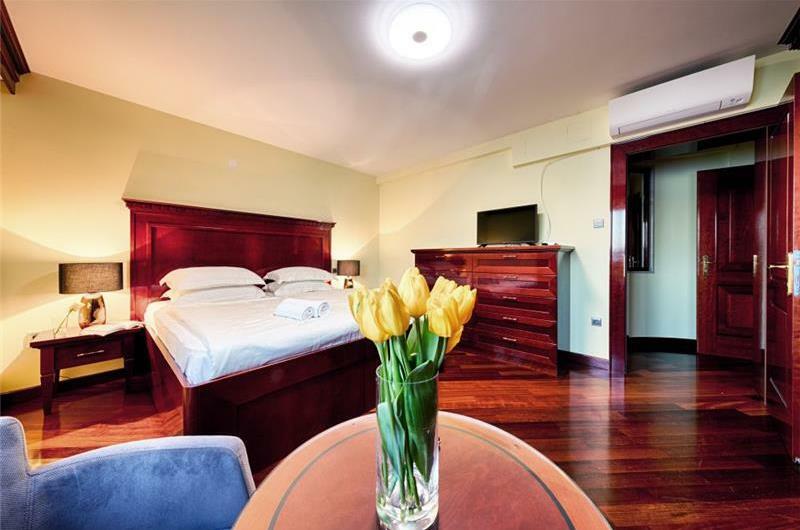 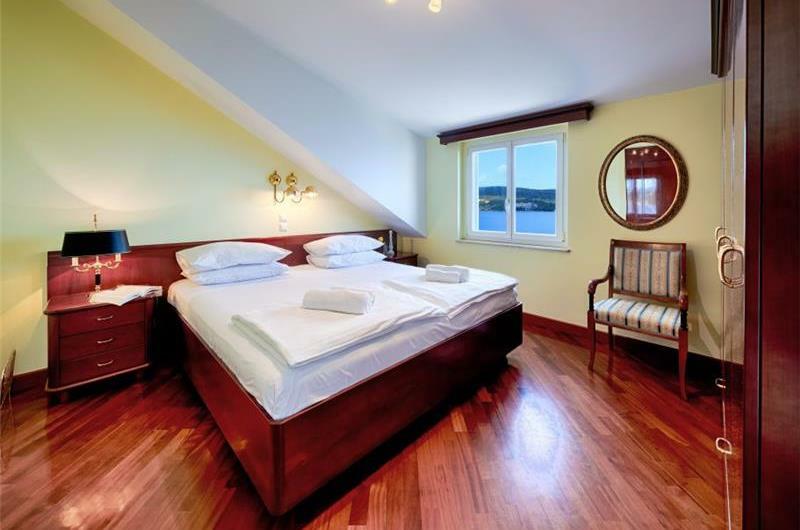 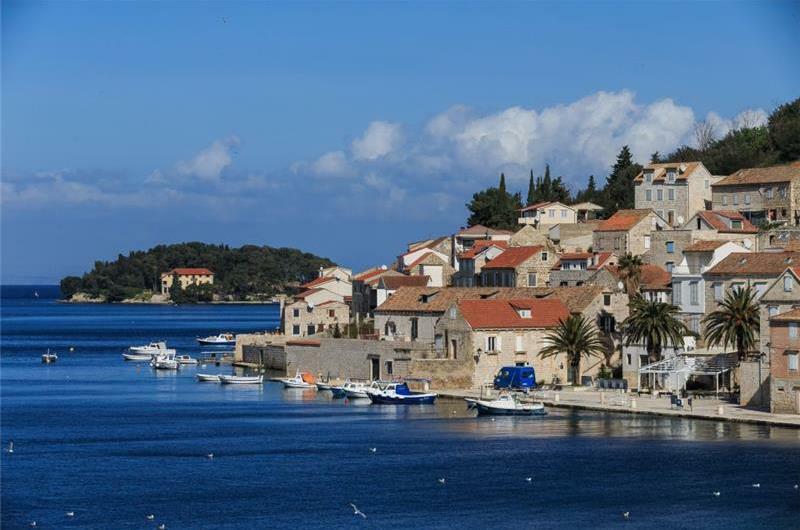 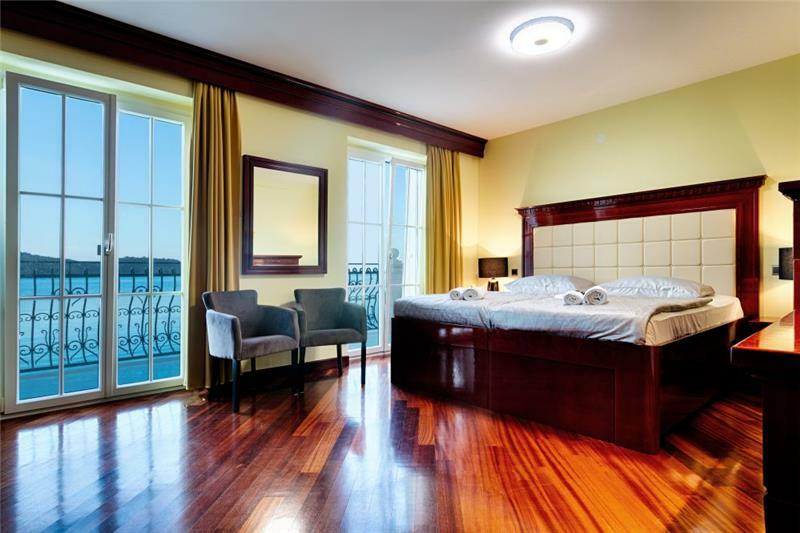 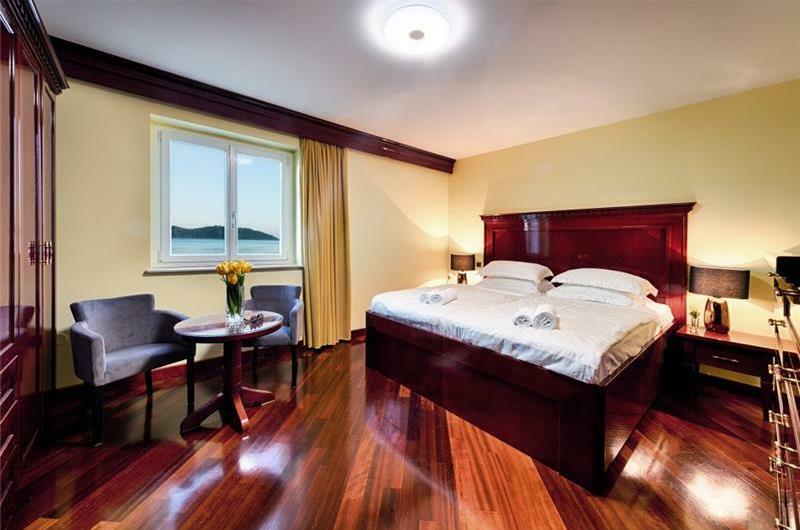 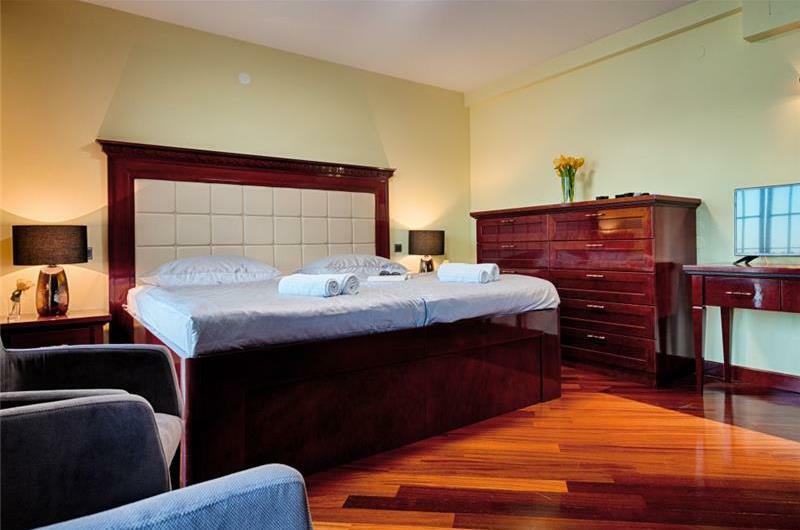 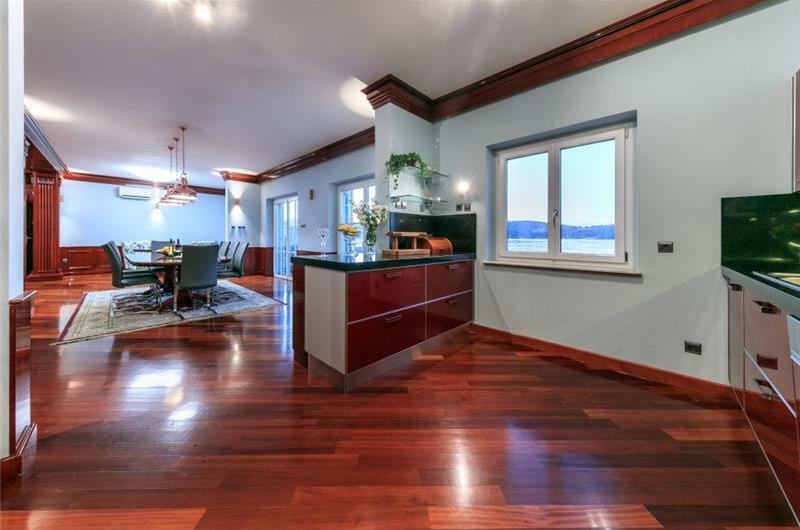 The property is located in walking distance of various restaurants, cafes, shops and bars along the harbour. 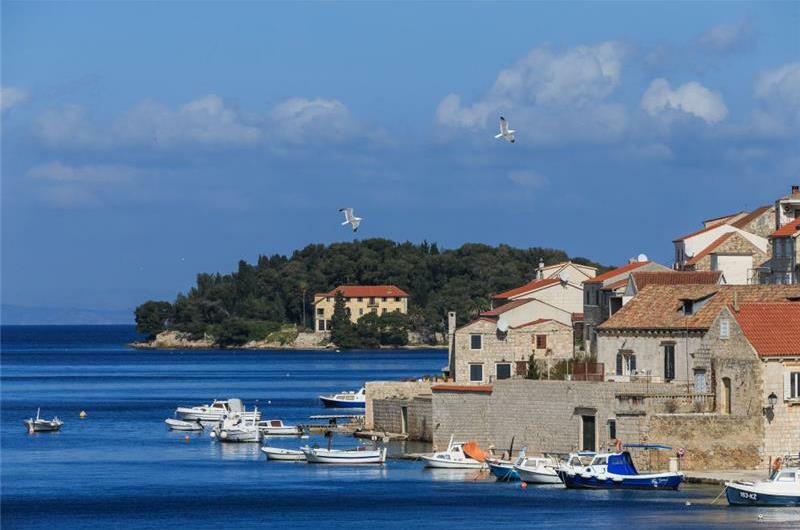 Vis Island has several sandy beaches to relax on. A day trip to the Blue Caves nearby the island of Bisevo, as well as an evening at the town’s open-air cinema, are highly recommended. A little further afield is Split town which can be reached by ferry. It is also worth exploring the island itself, and for stunning views, trekking opportunities and picnic spots, Mount Hum is recommended.